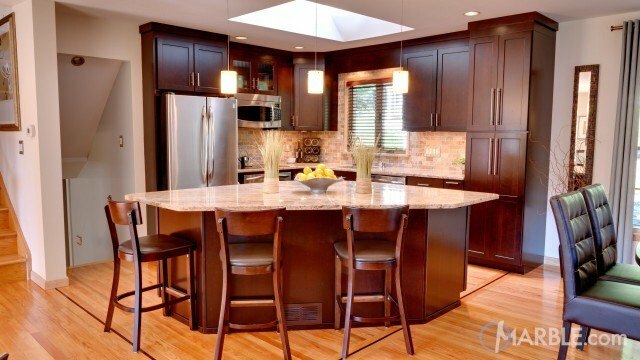 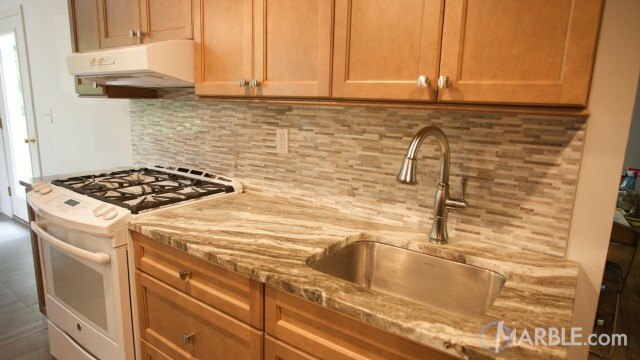 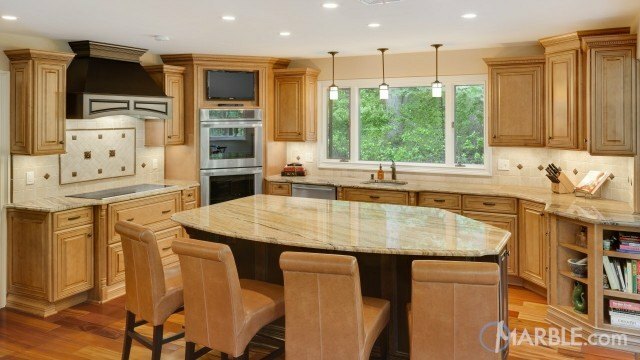 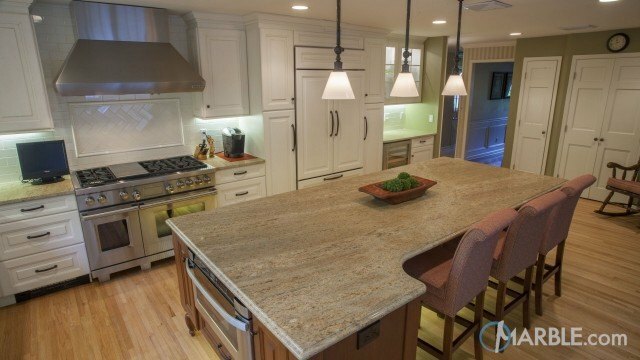 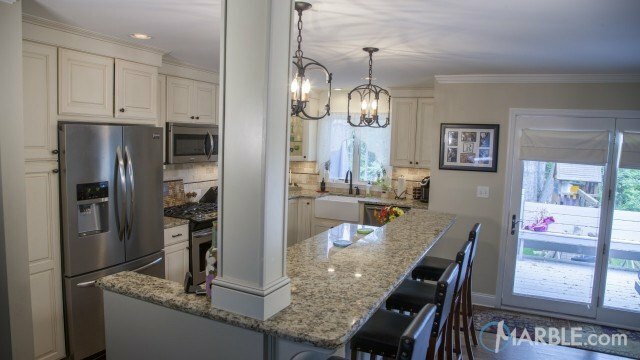 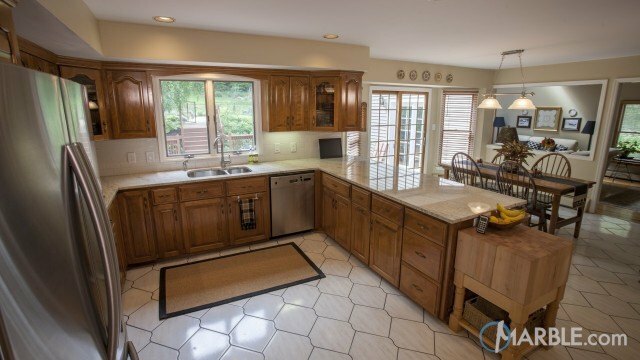 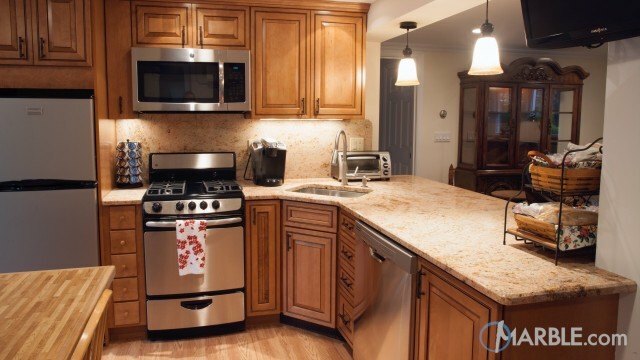 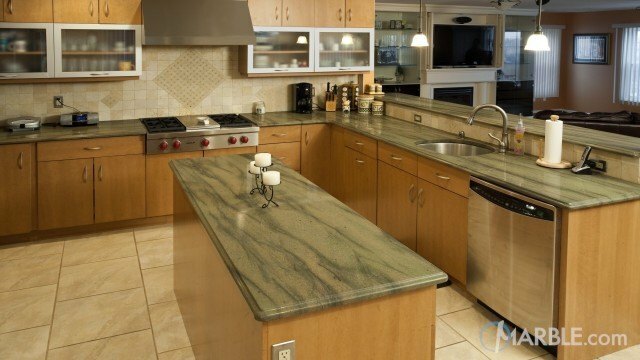 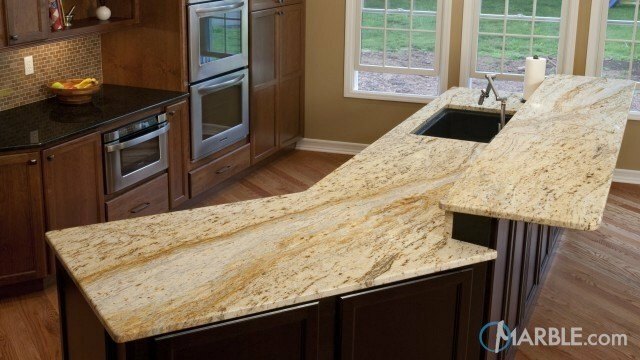 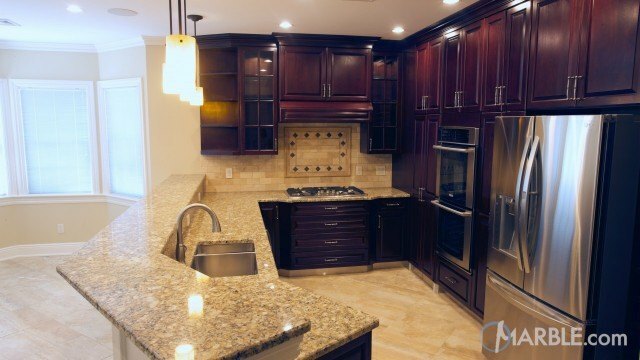 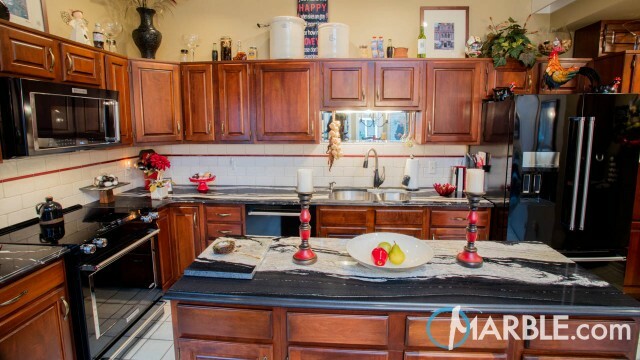 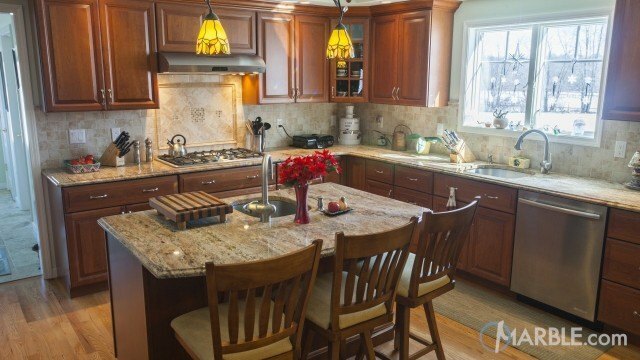 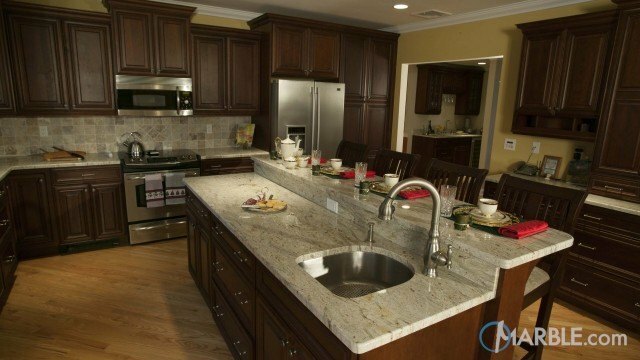 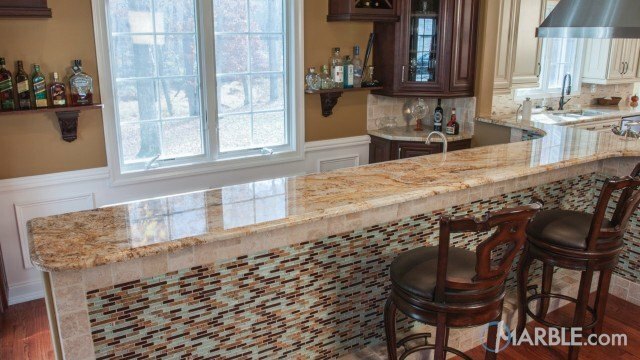 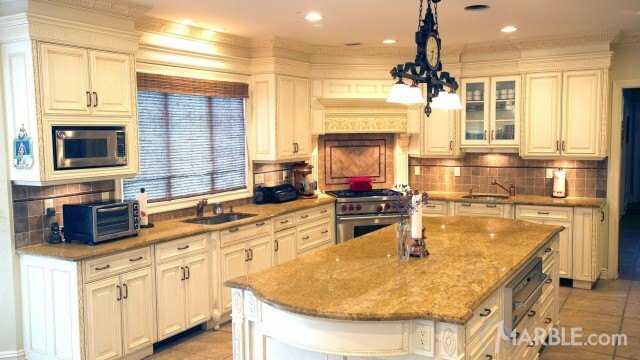 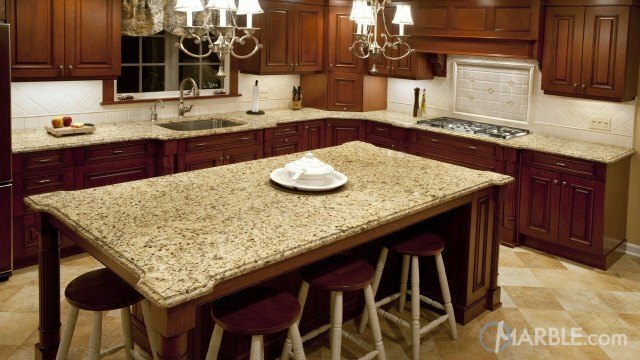 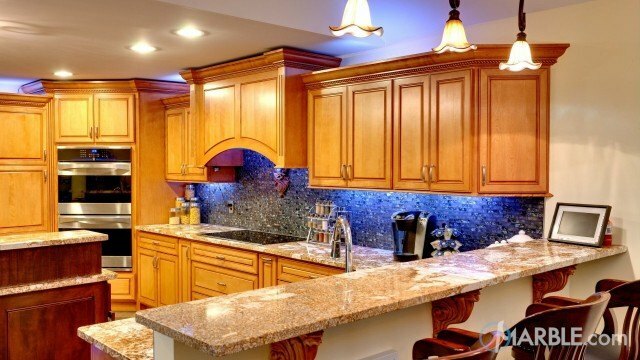 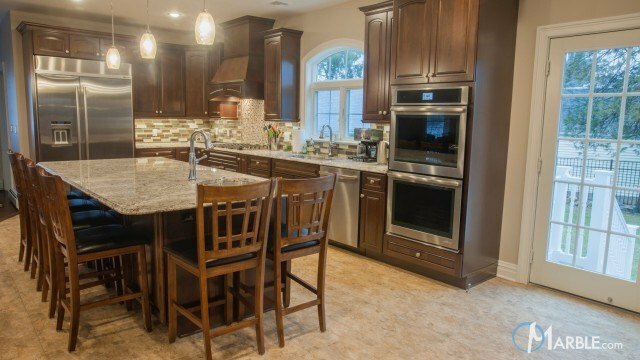 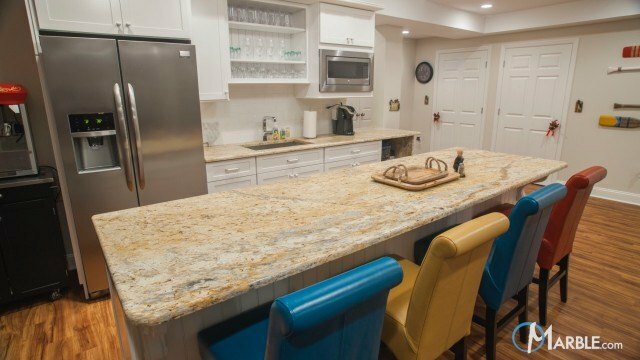 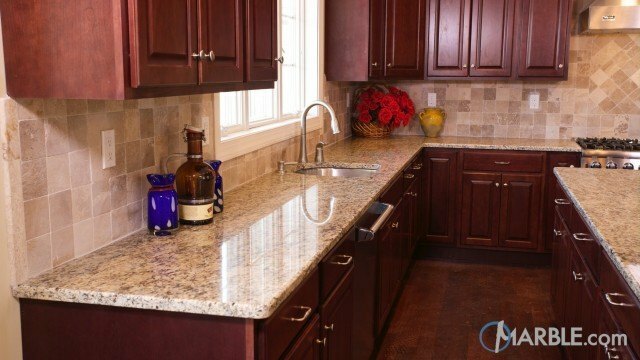 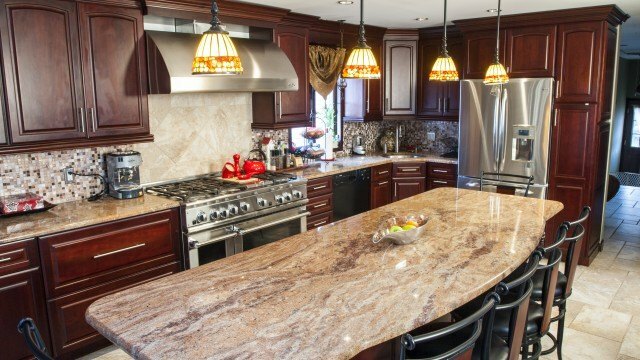 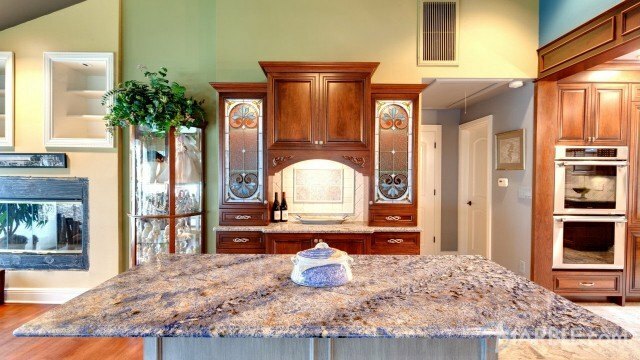 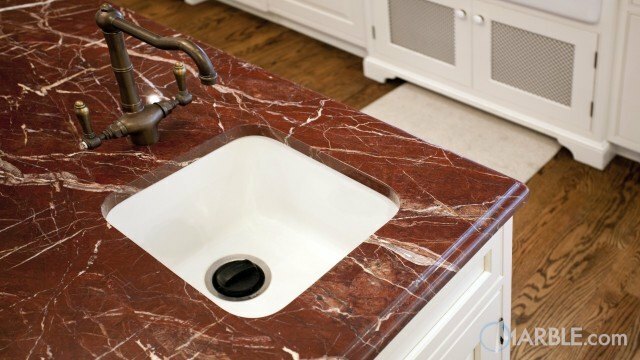 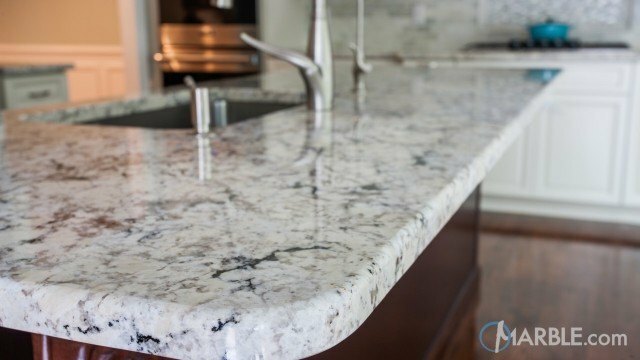 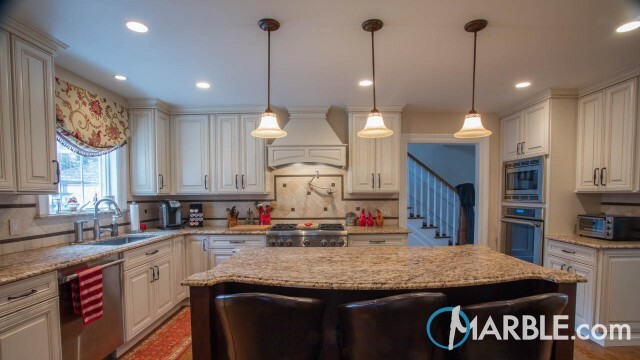 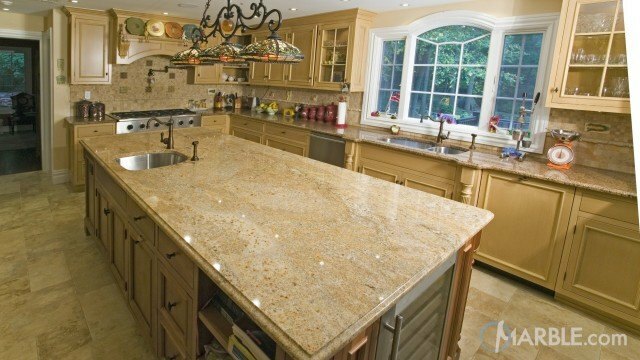 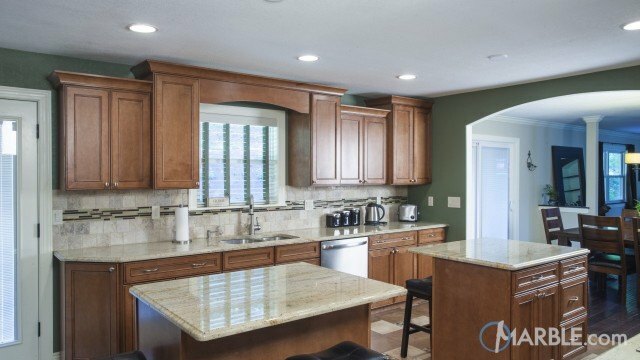 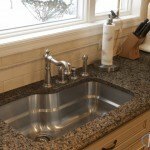 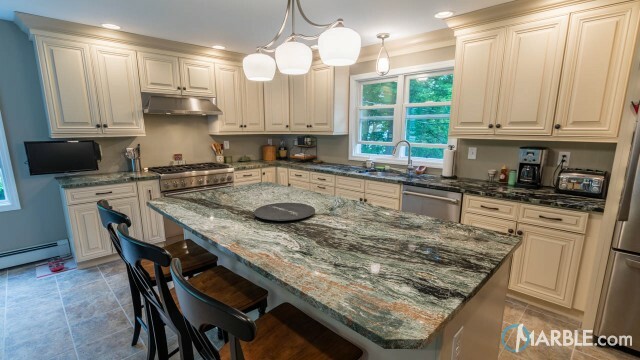 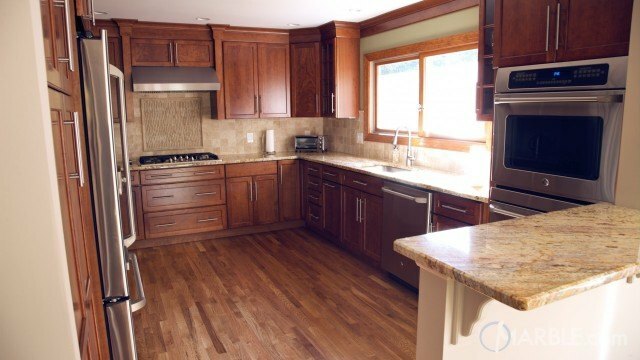 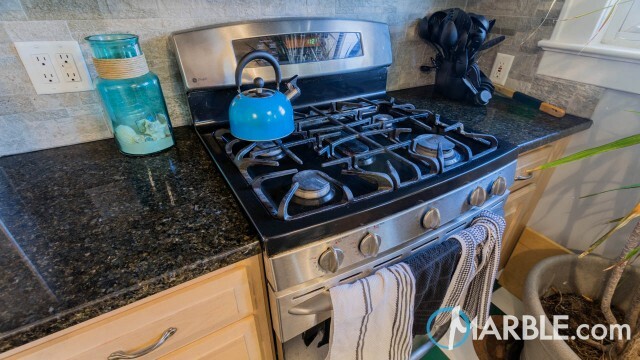 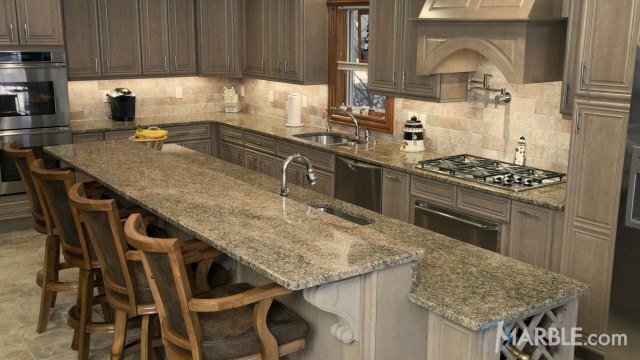 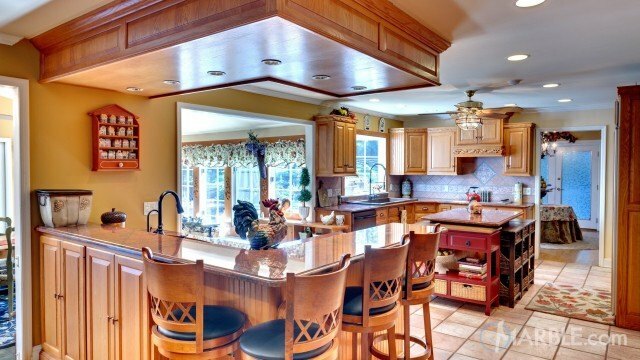 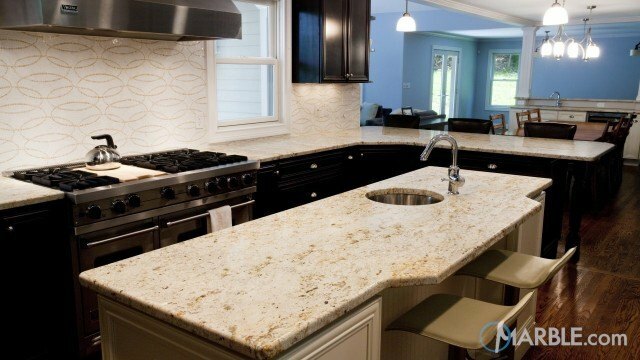 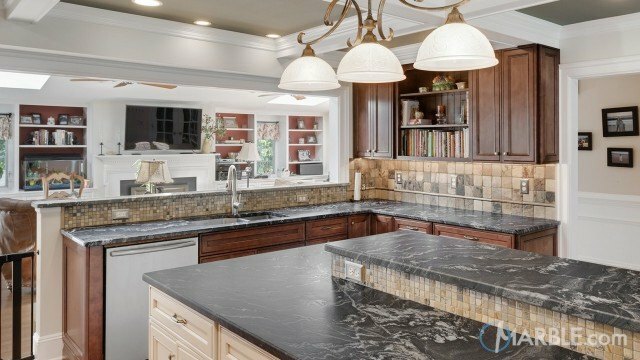 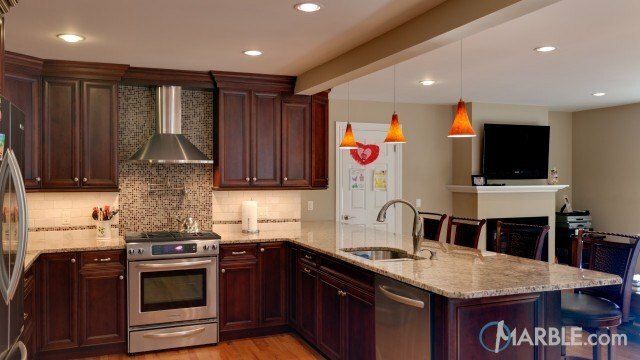 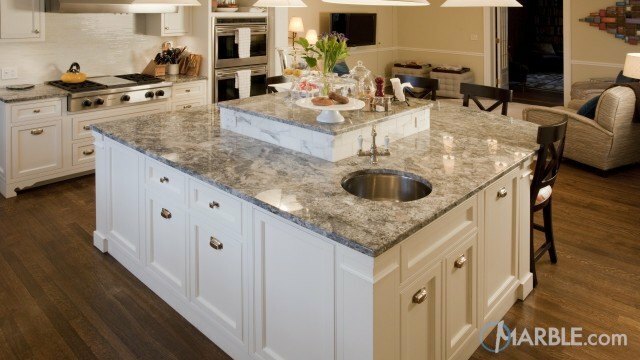 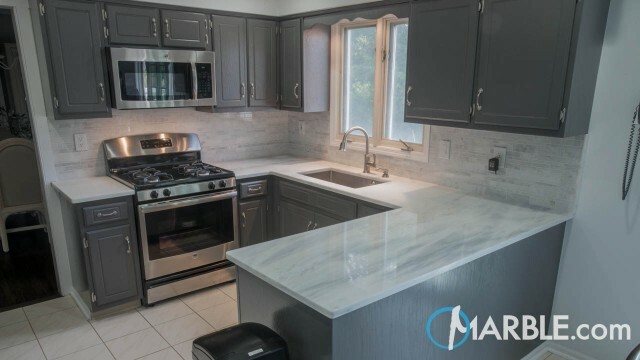 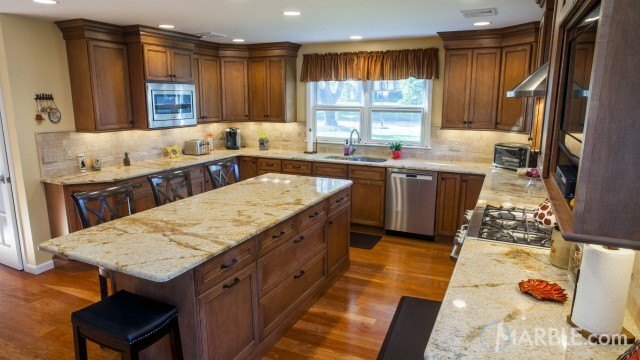 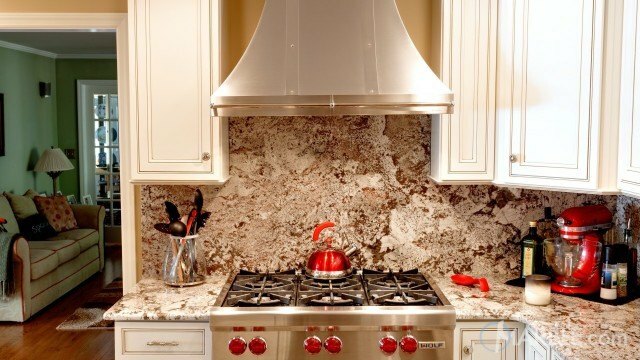 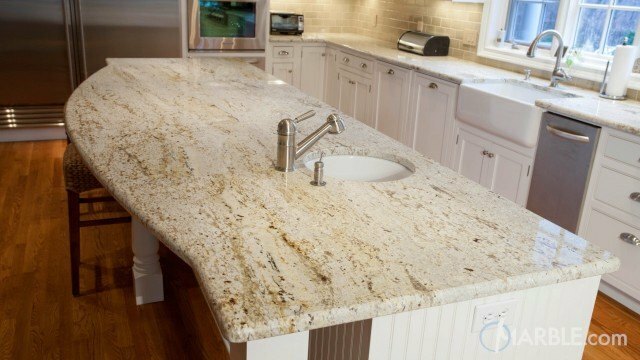 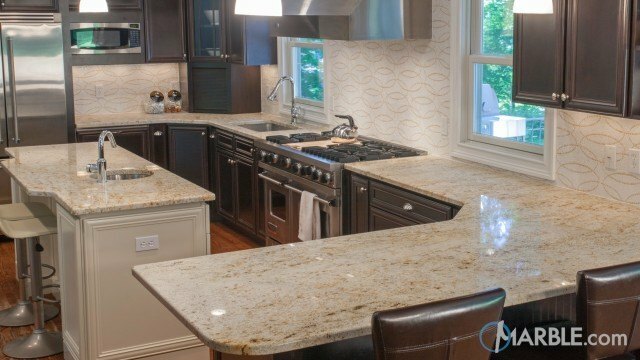 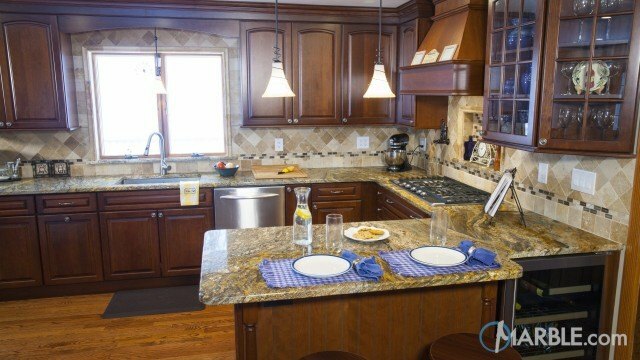 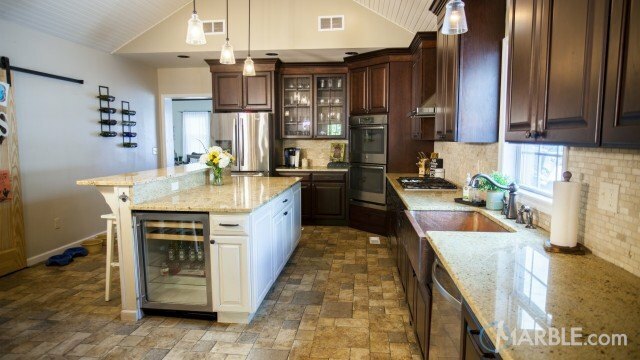 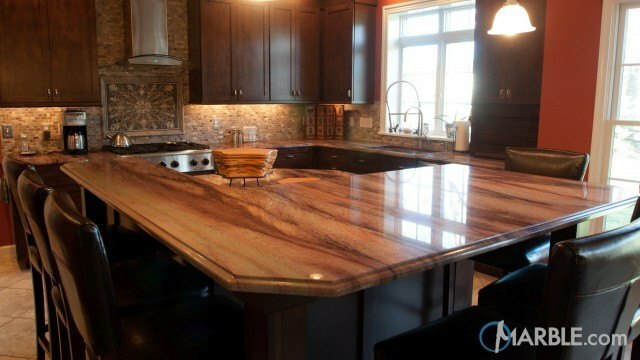 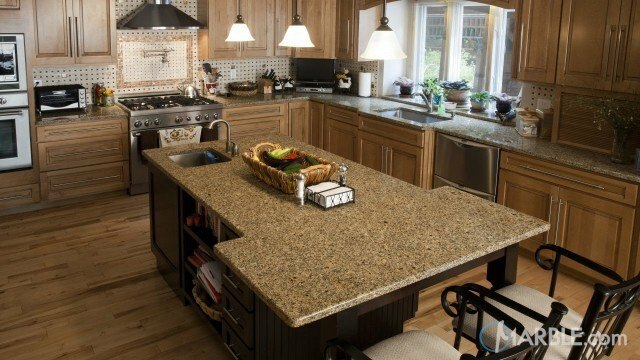 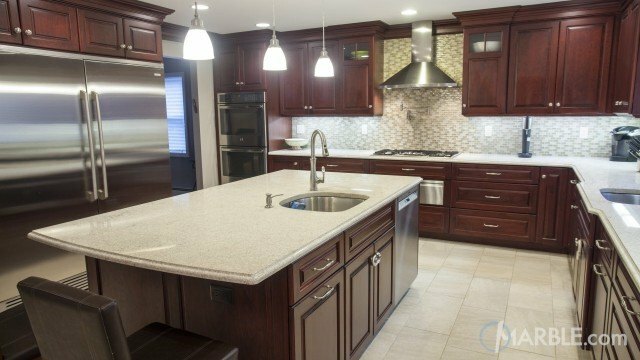 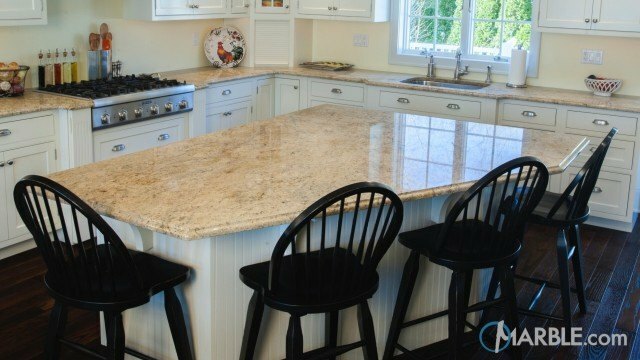 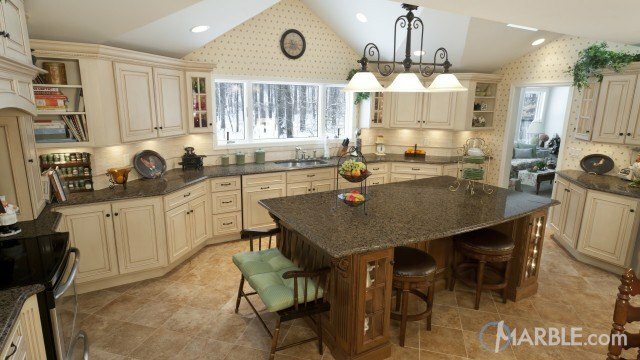 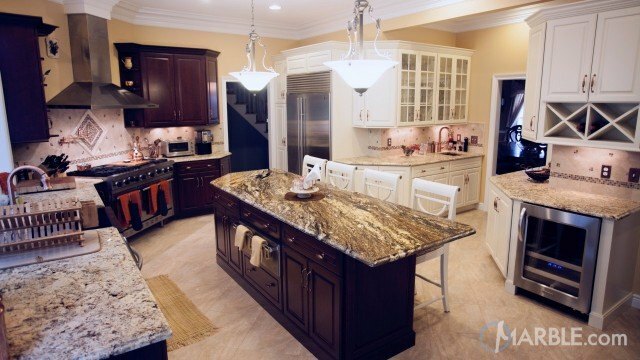 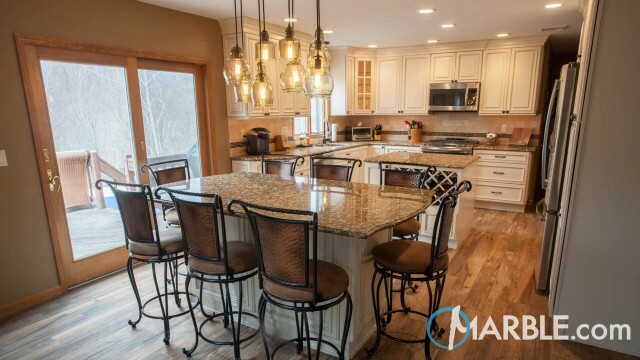 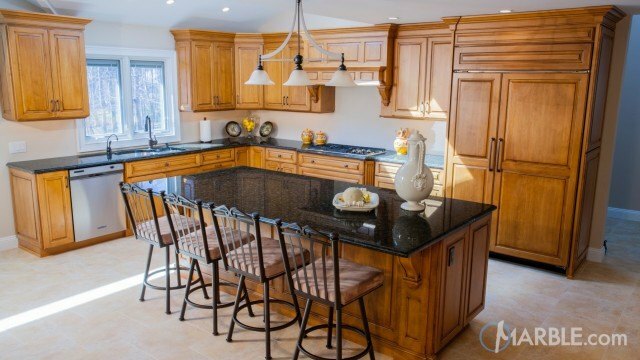 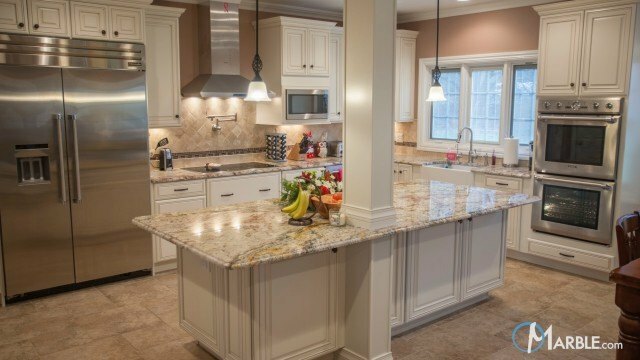 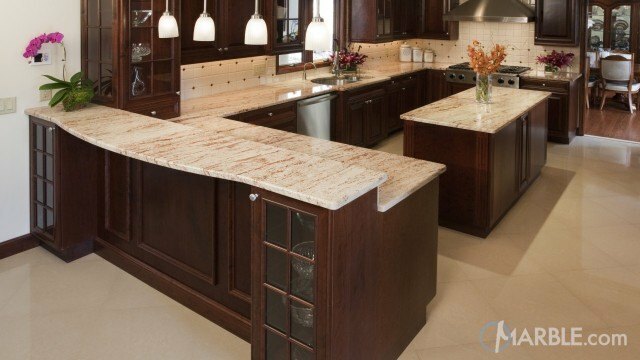 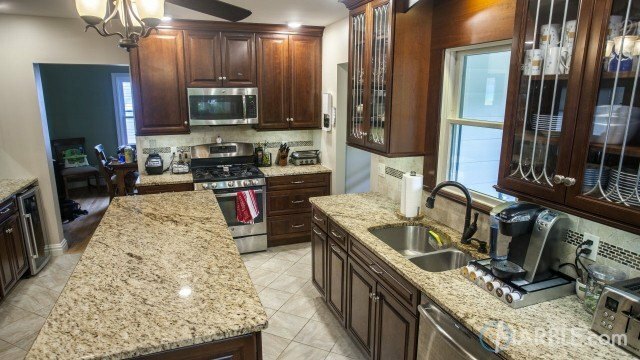 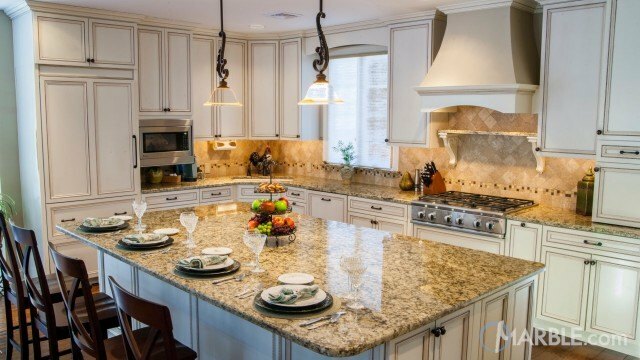 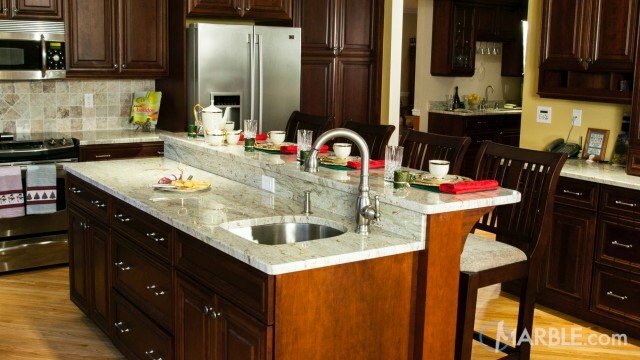 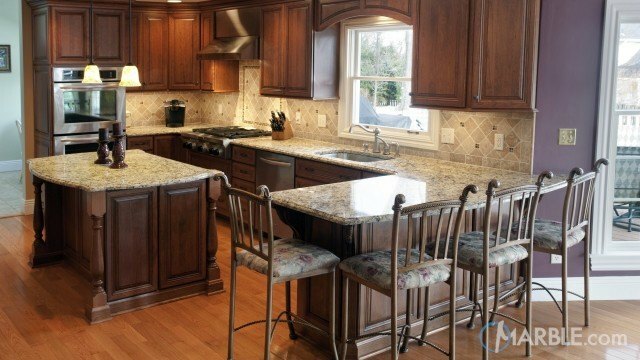 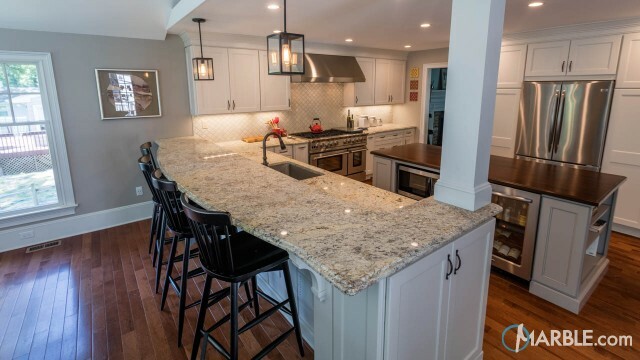 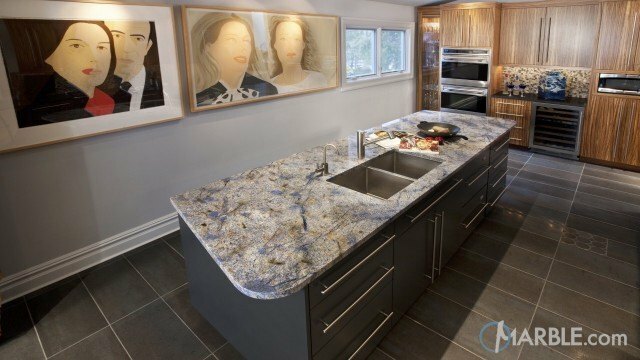 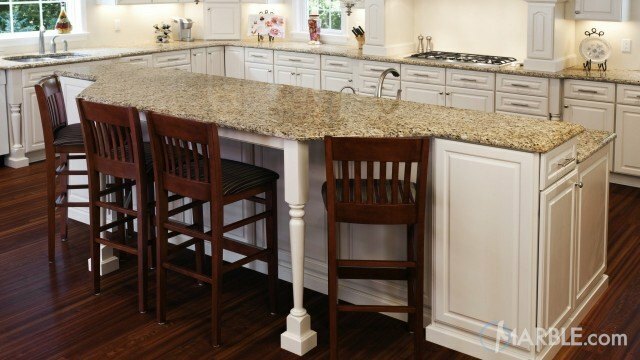 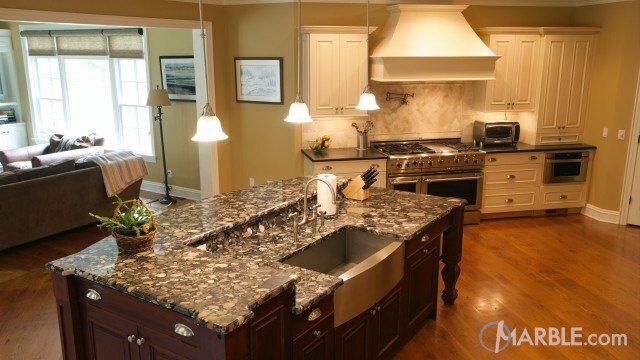 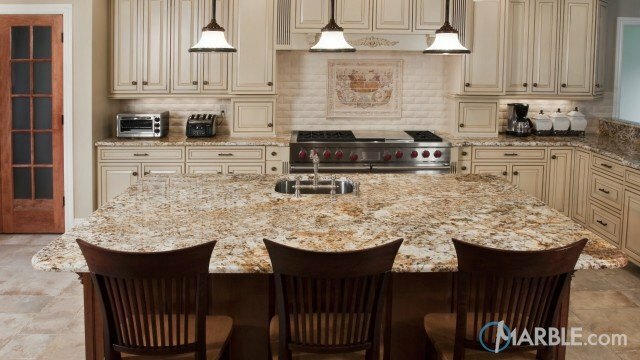 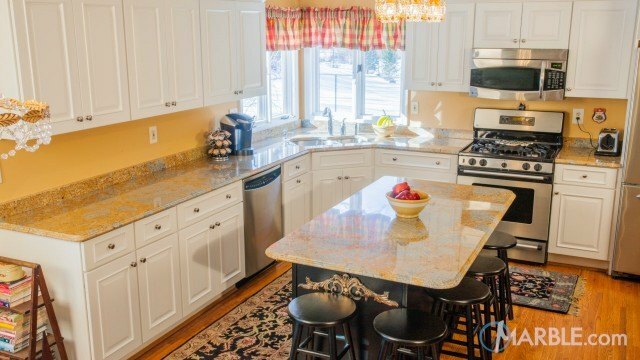 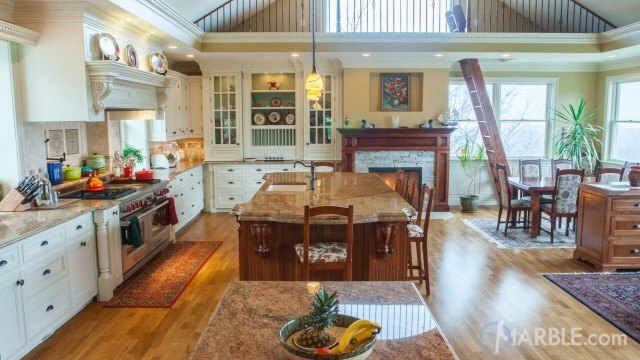 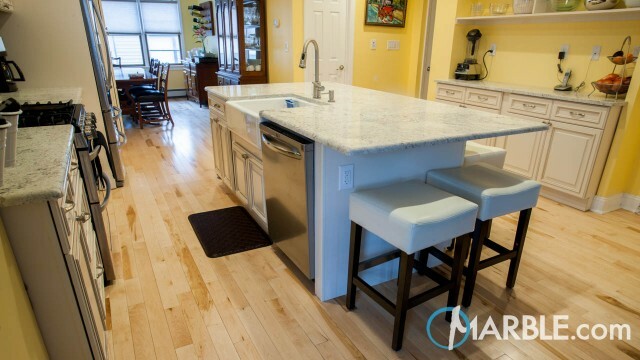 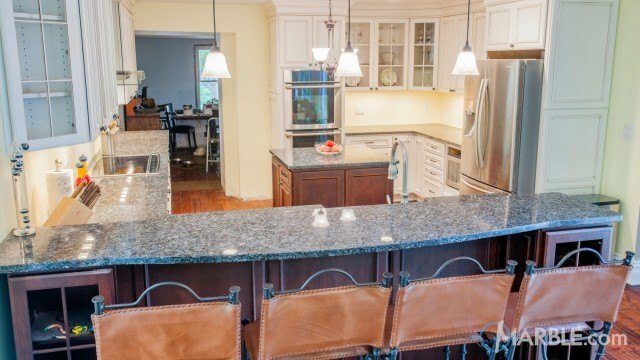 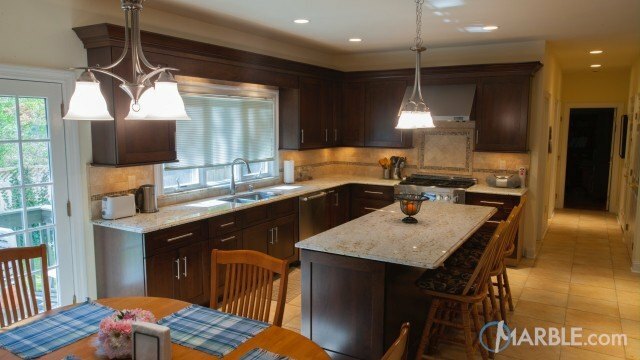 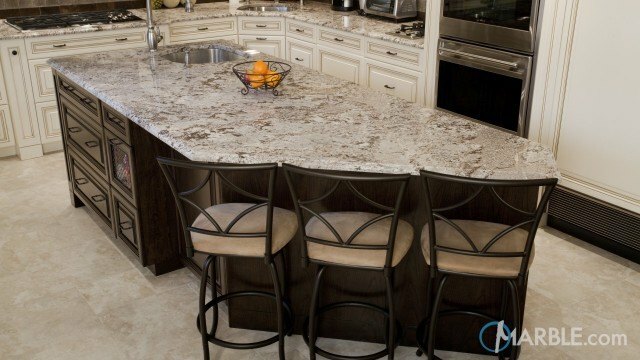 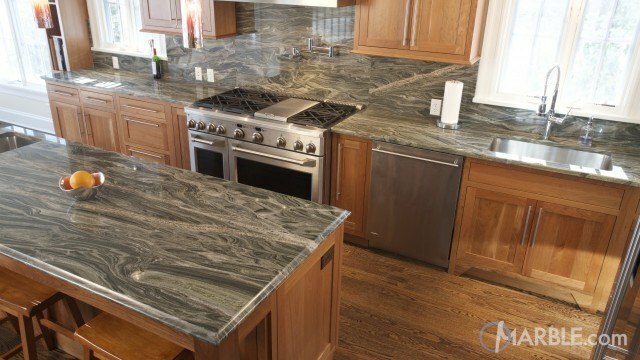 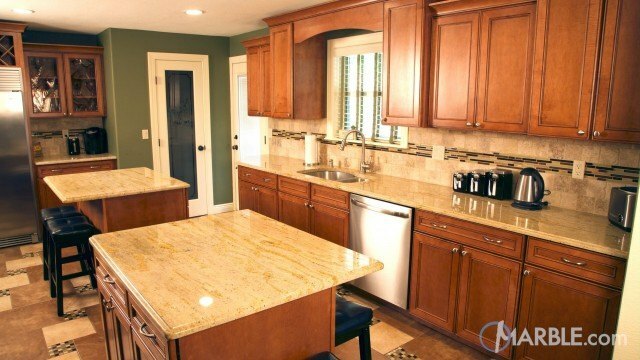 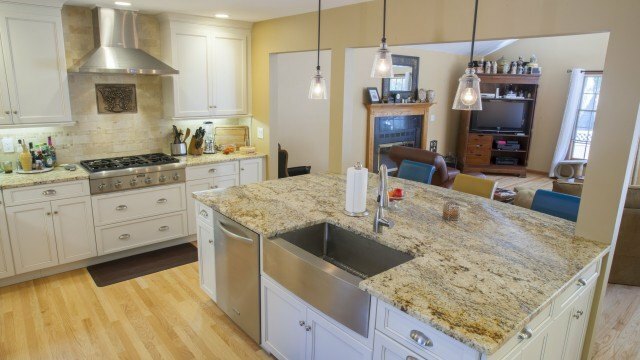 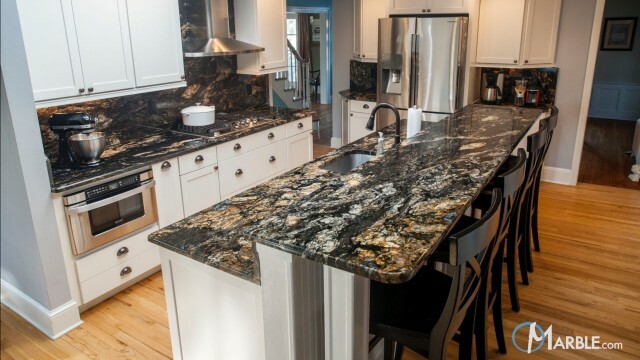 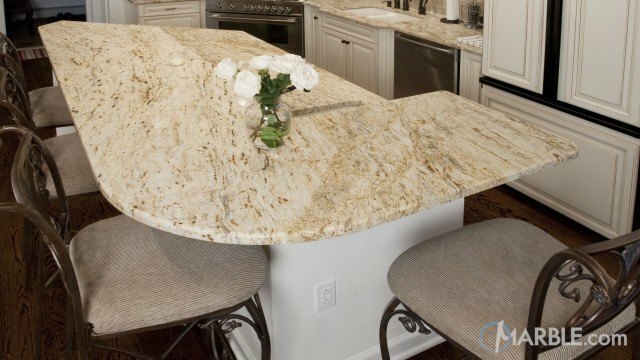 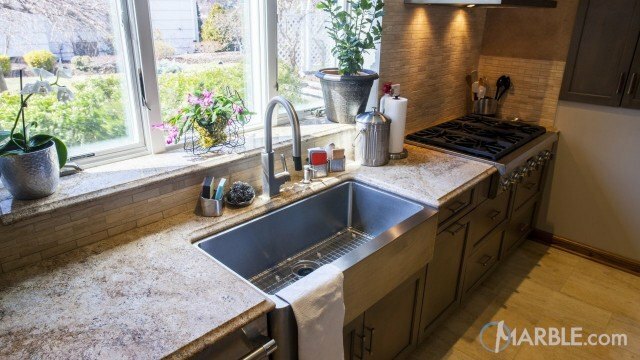 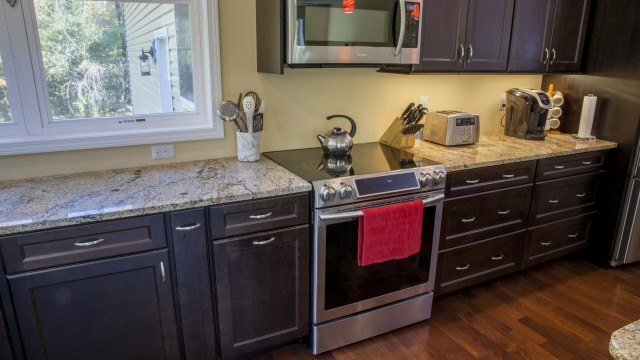 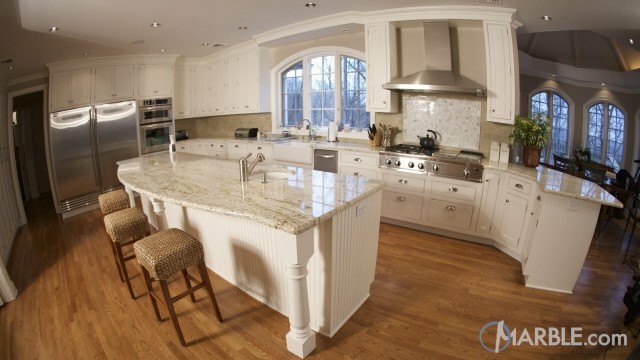 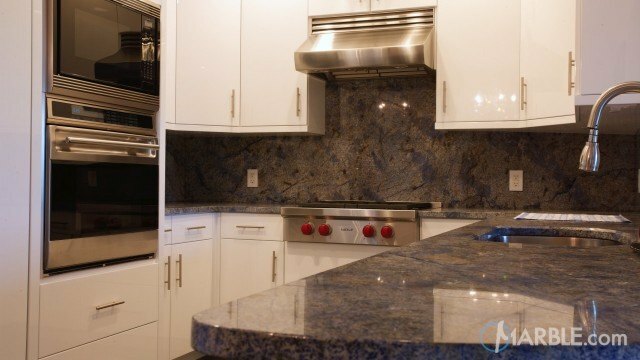 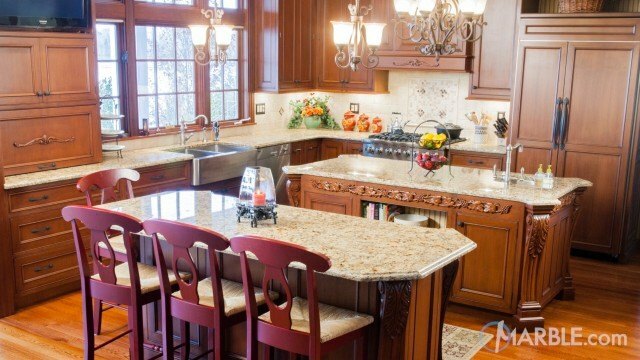 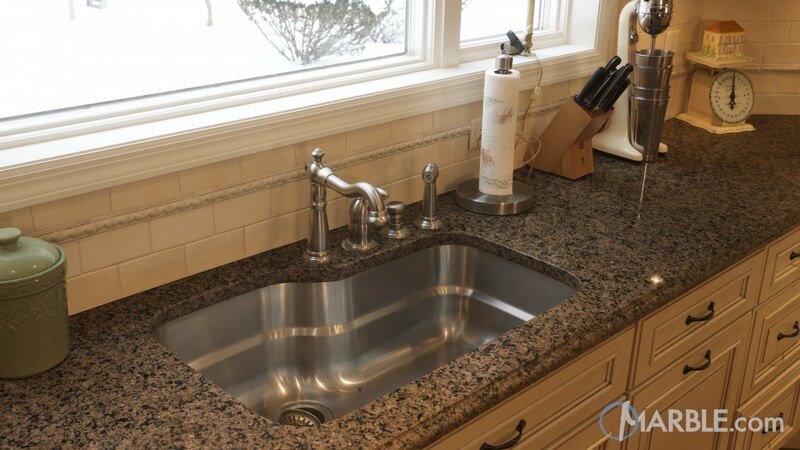 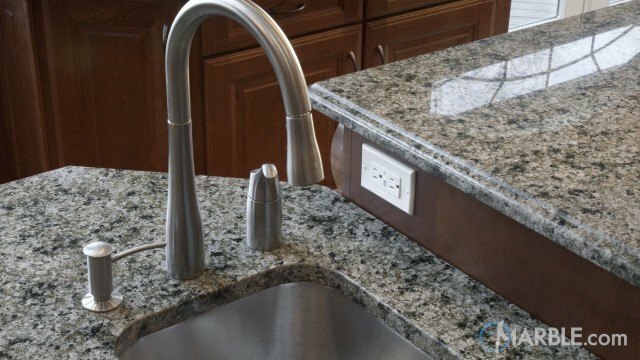 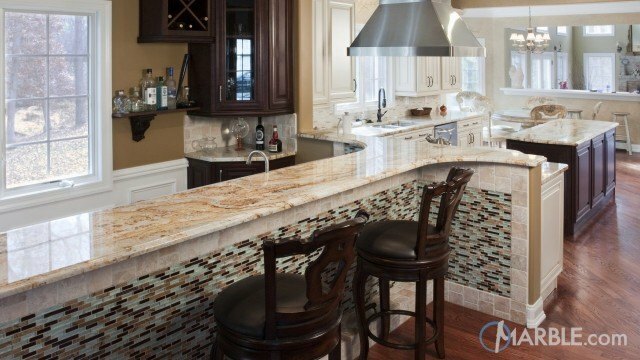 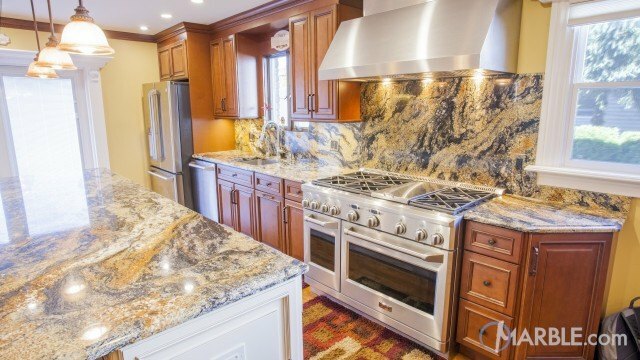 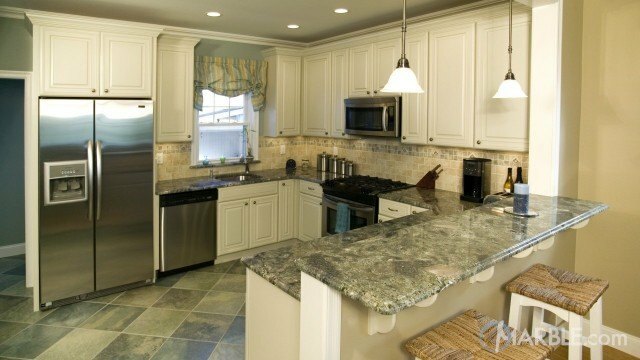 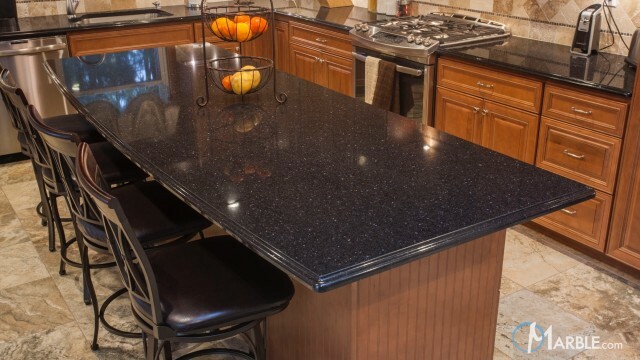 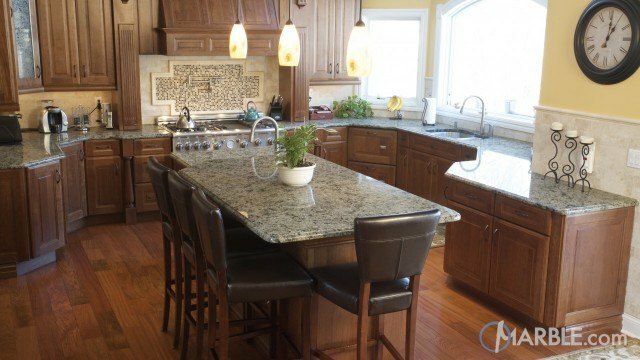 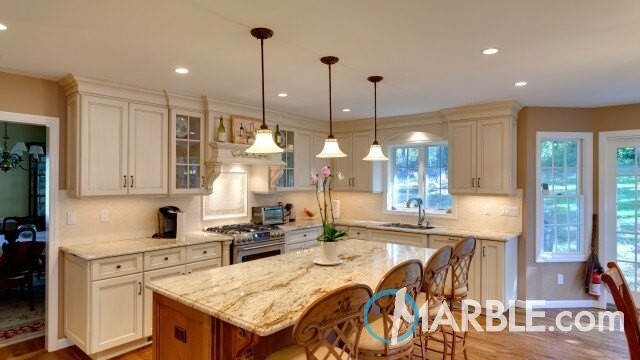 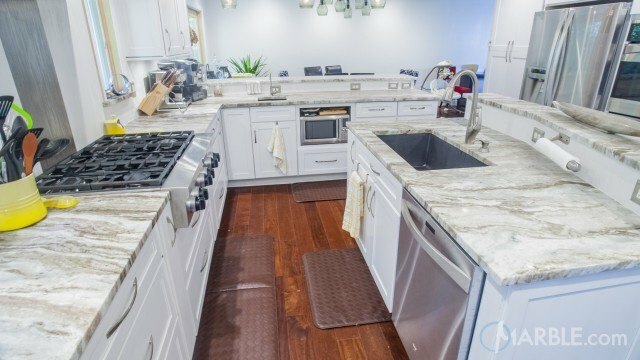 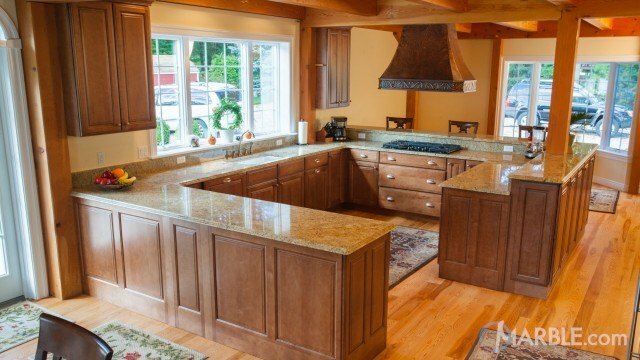 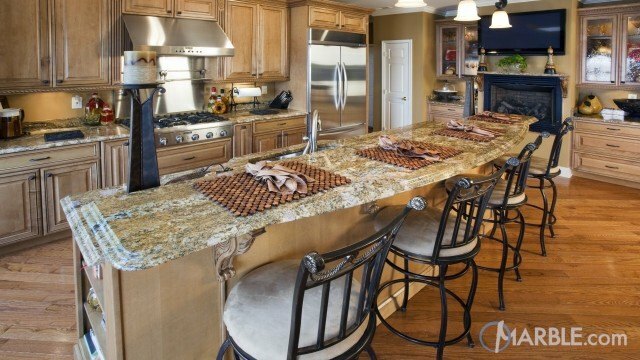 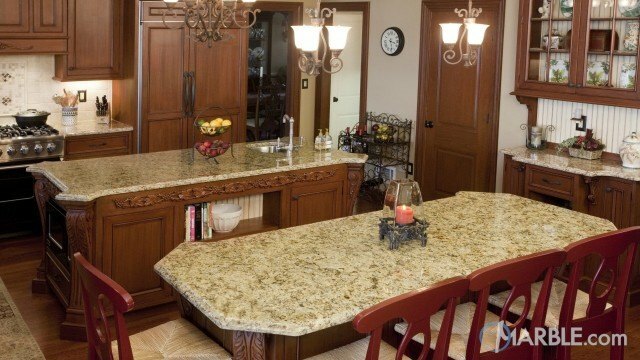 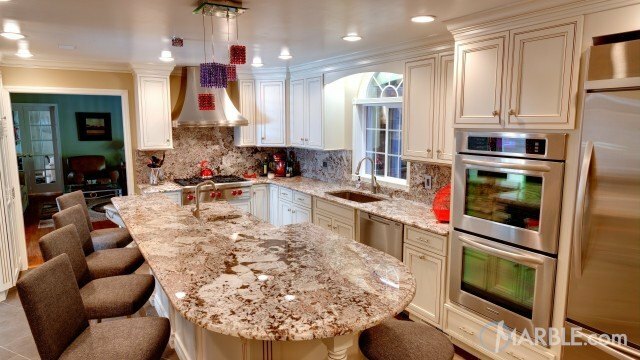 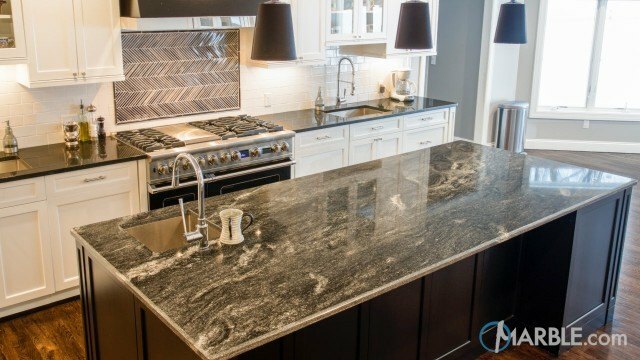 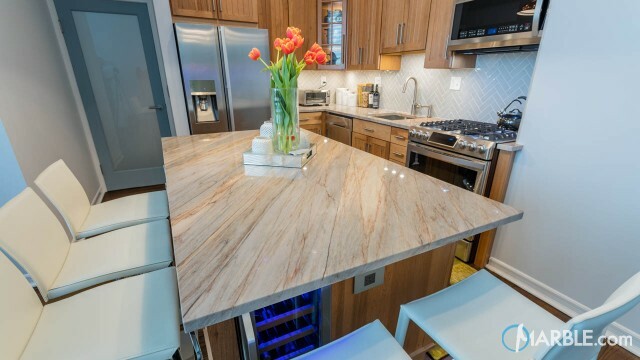 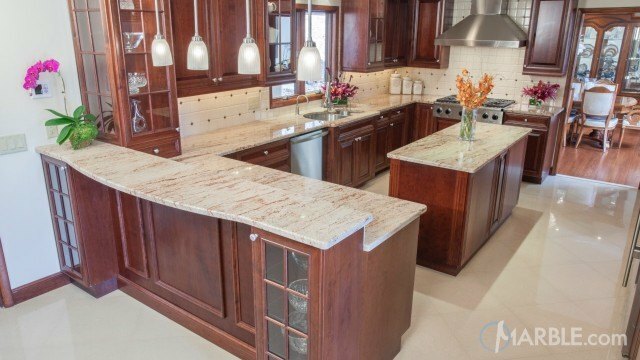 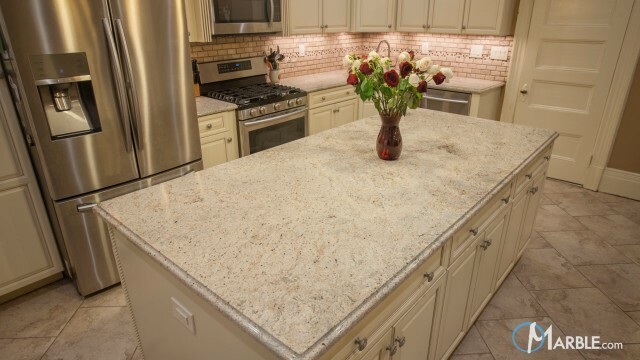 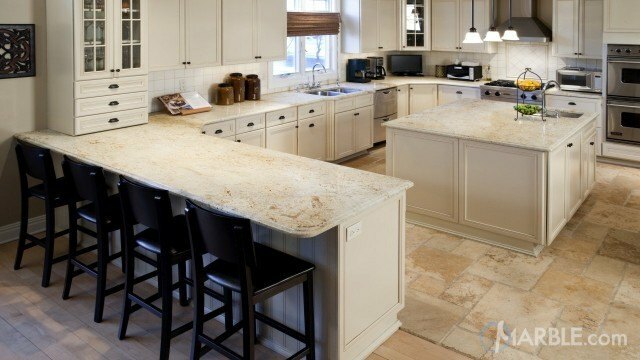 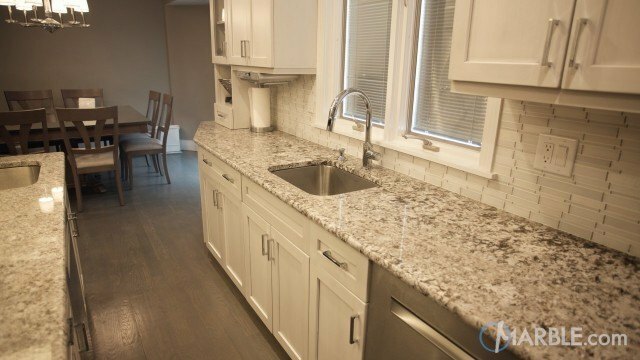 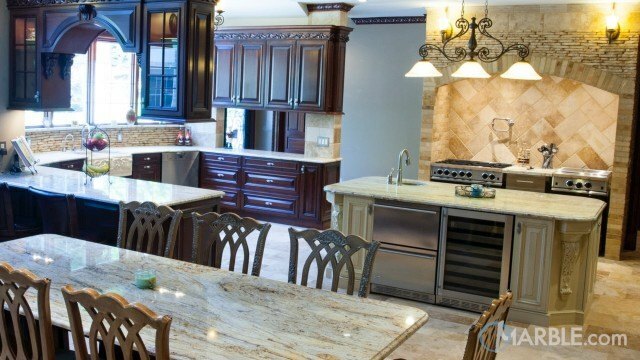 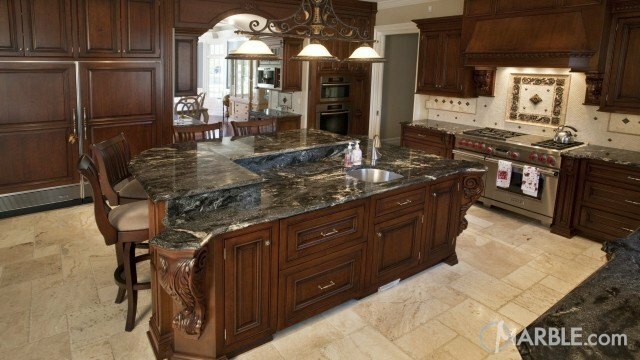 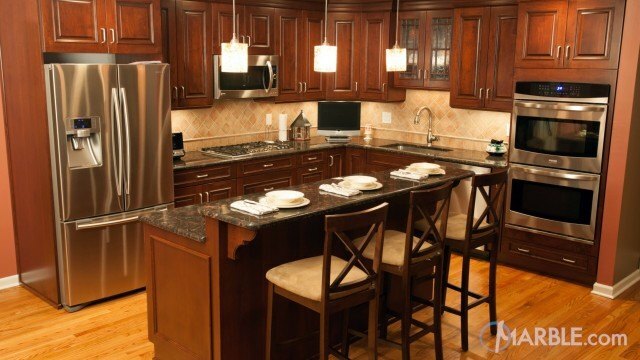 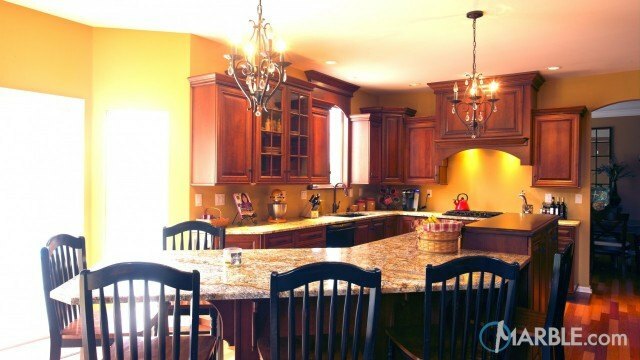 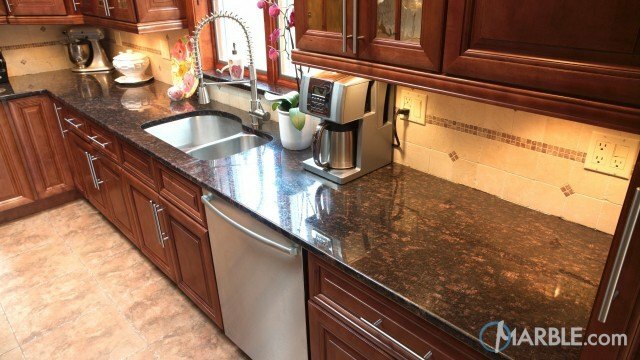 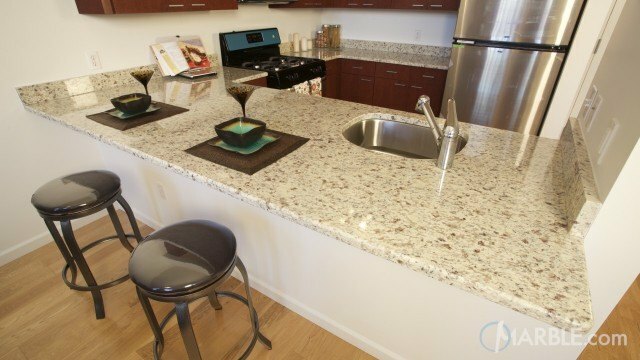 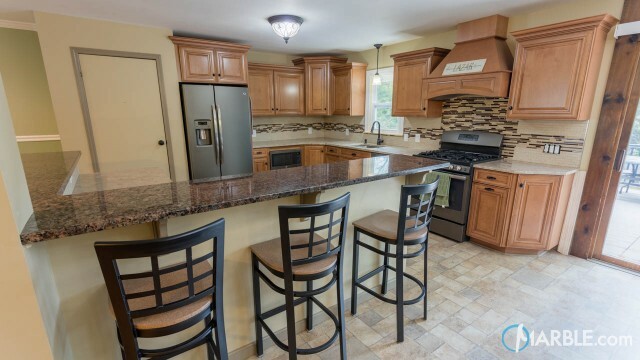 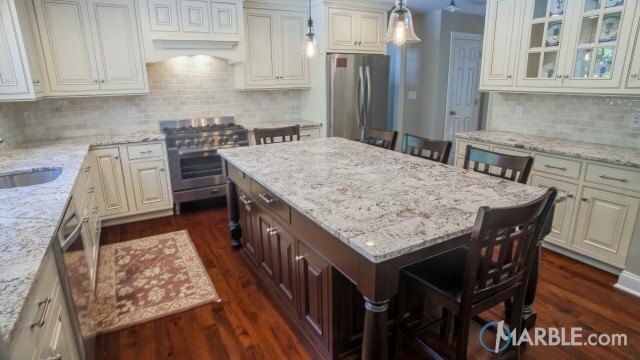 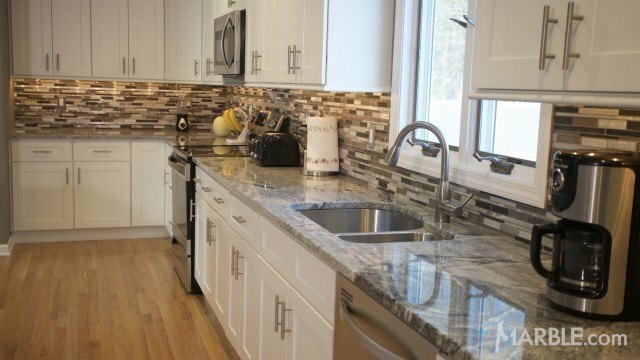 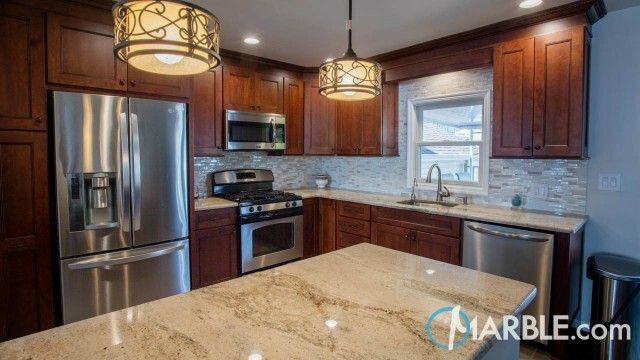 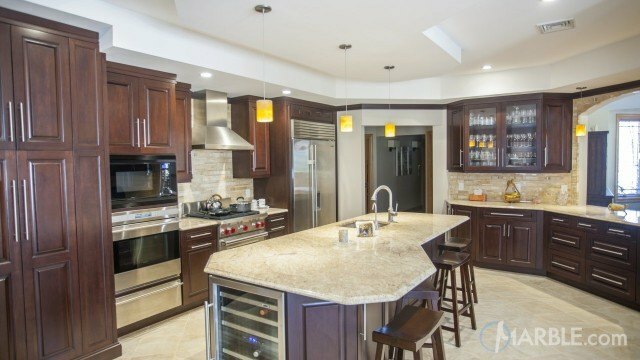 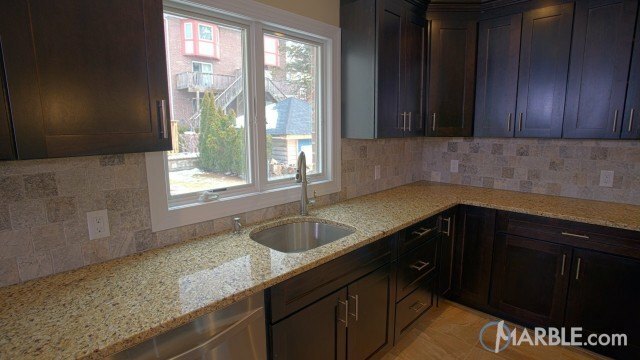 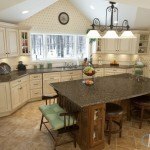 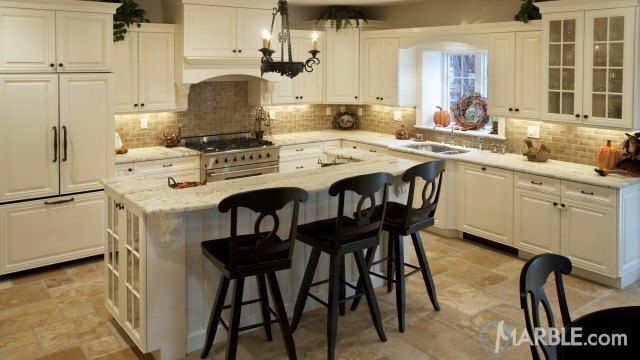 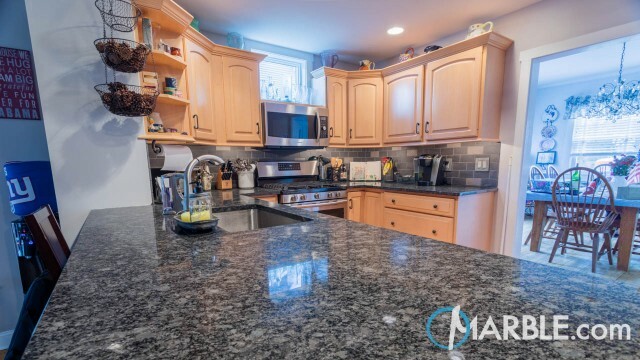 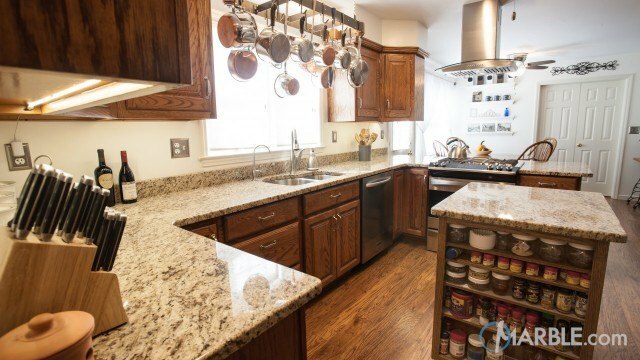 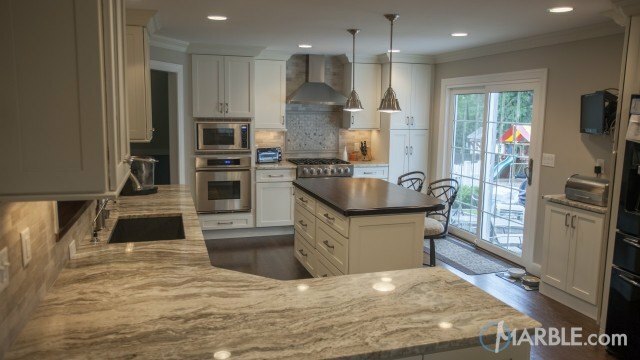 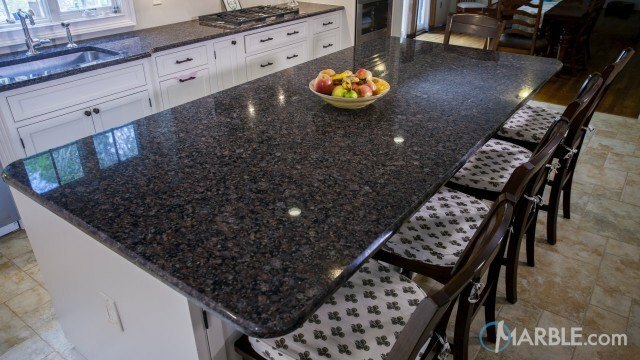 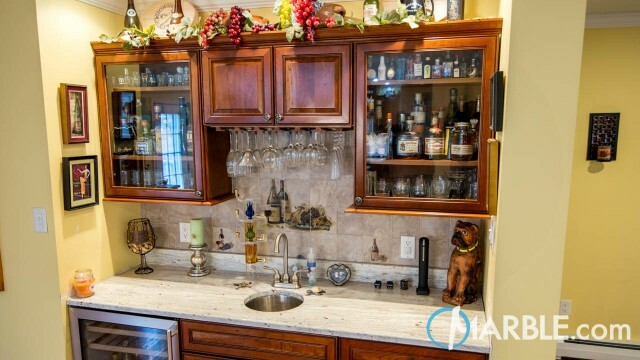 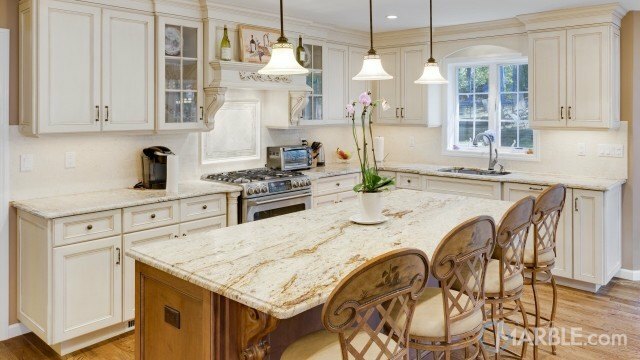 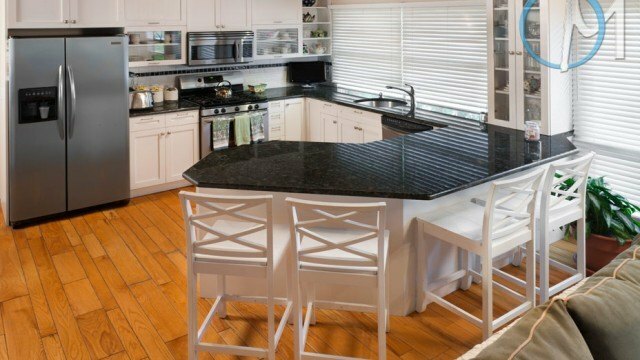 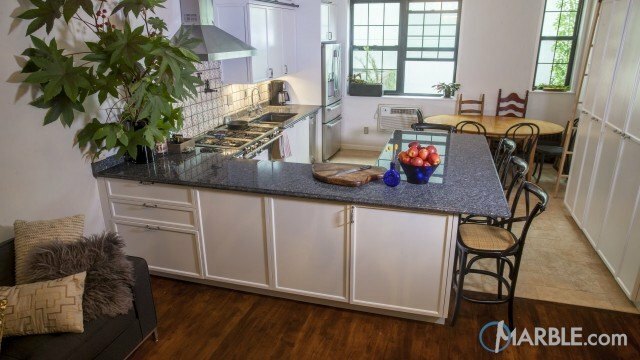 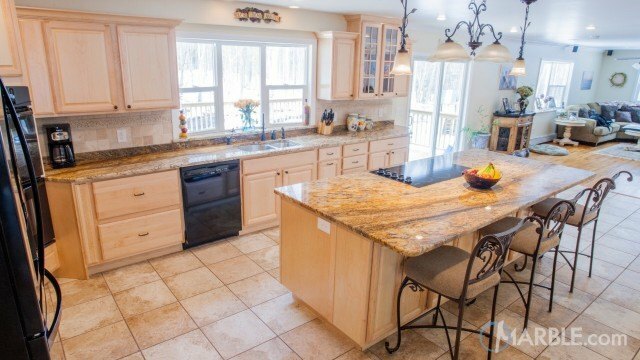 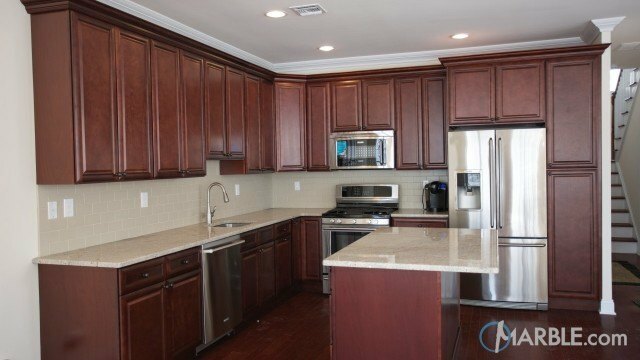 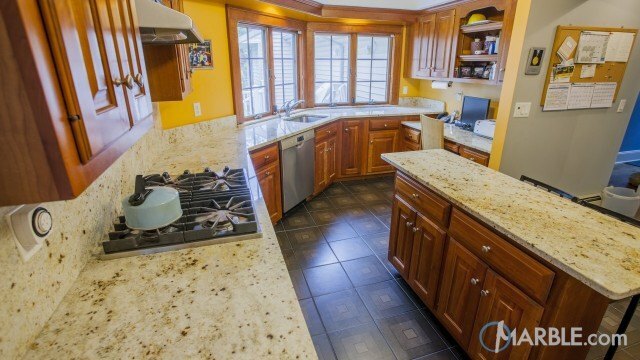 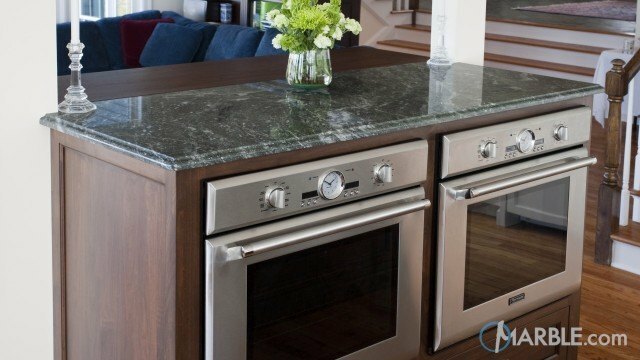 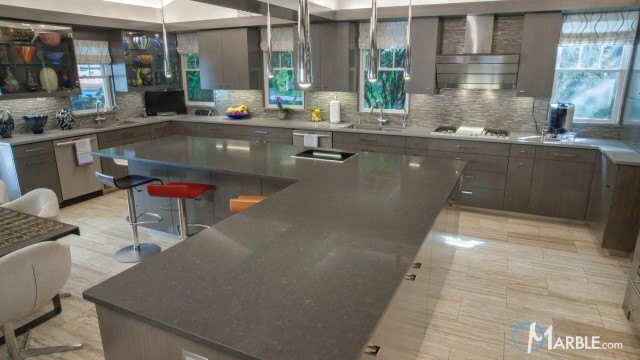 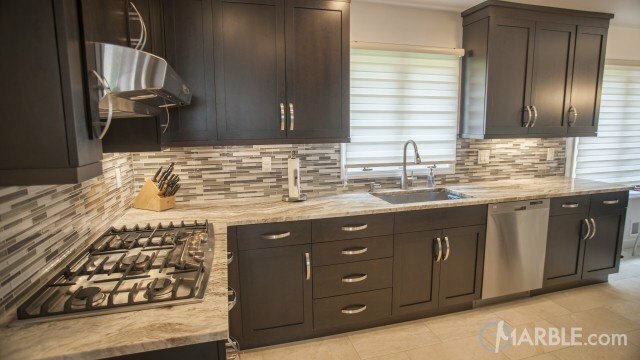 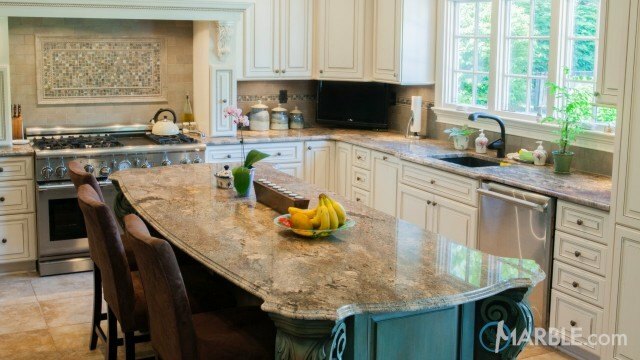 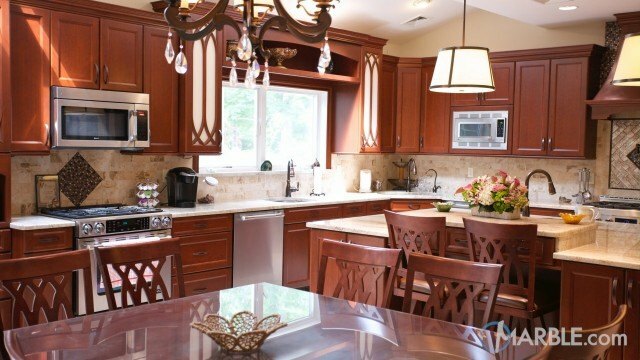 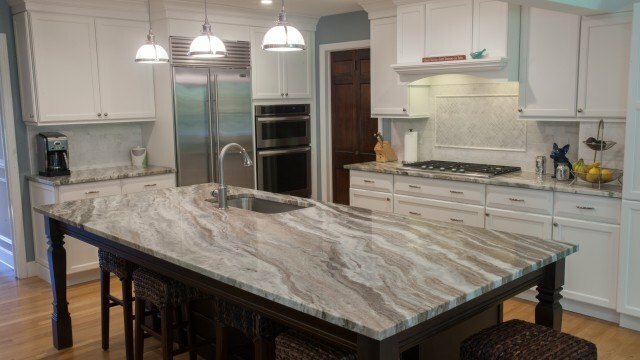 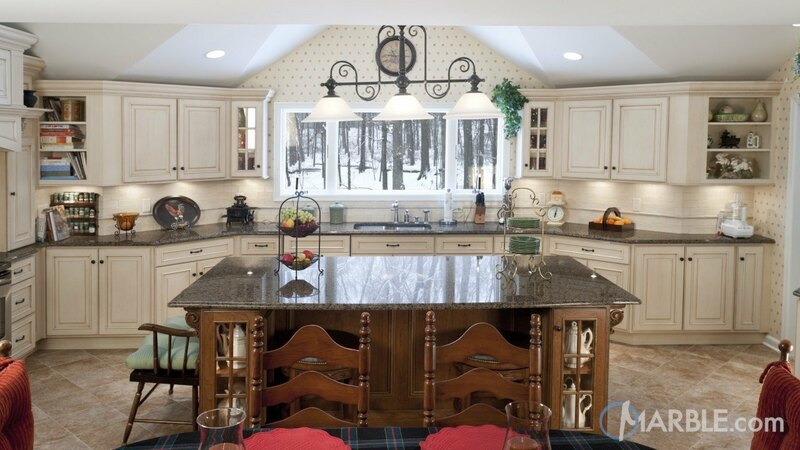 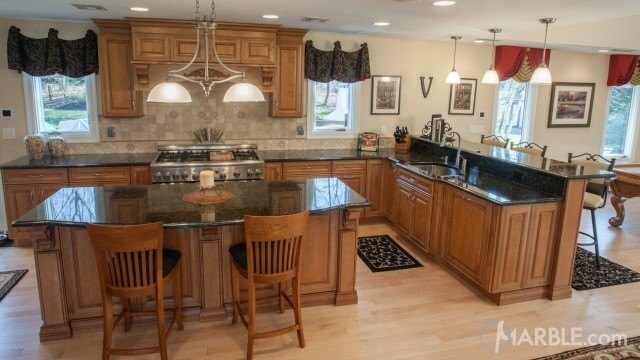 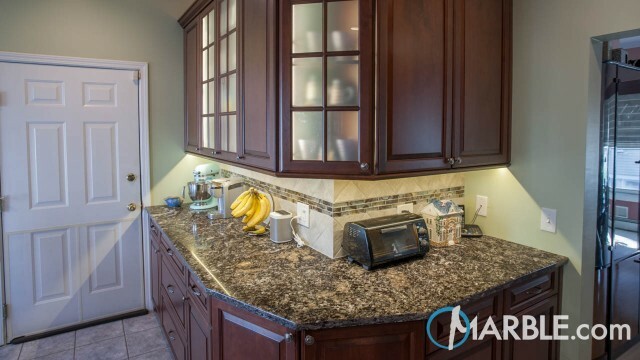 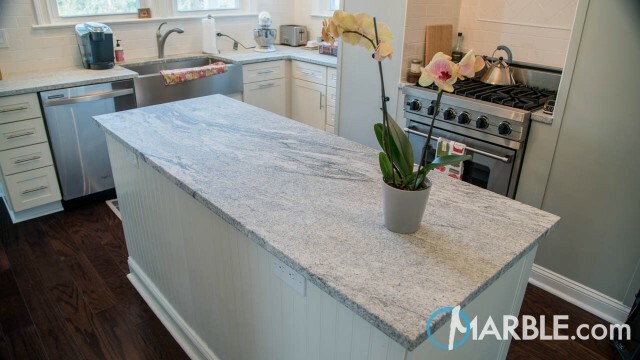 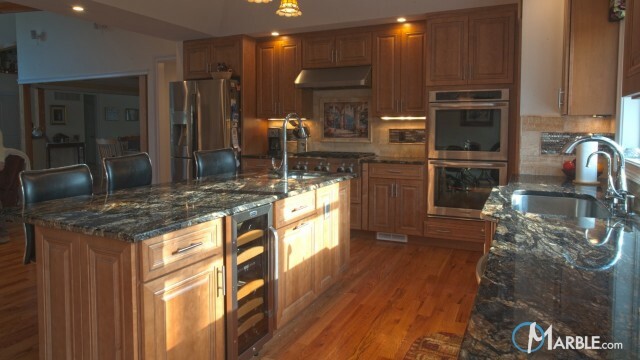 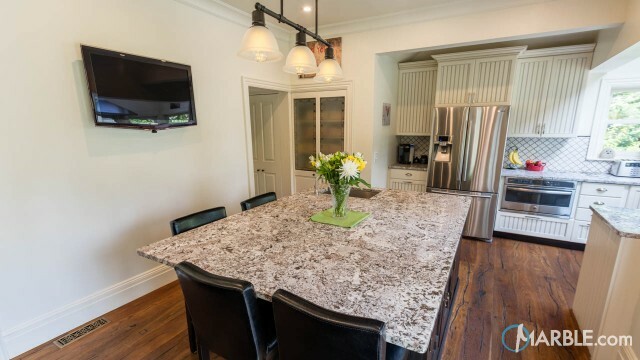 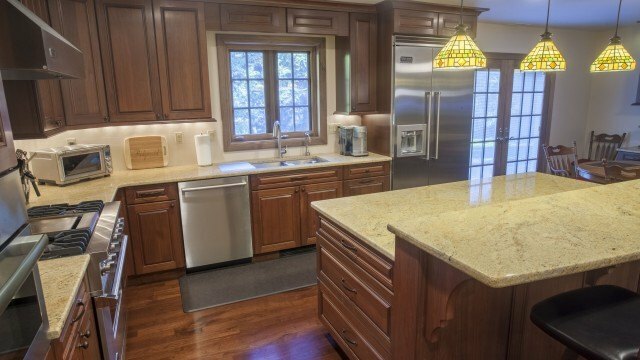 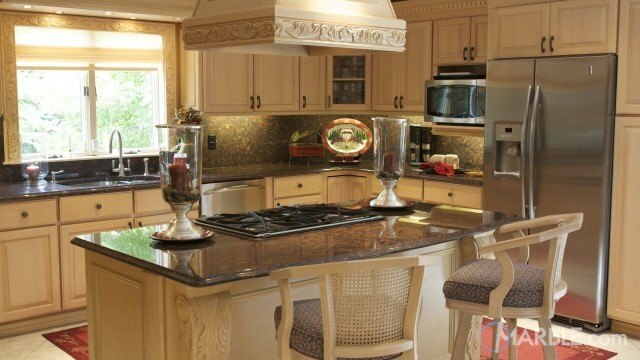 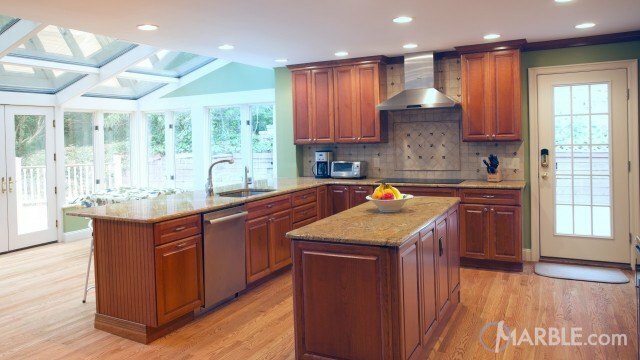 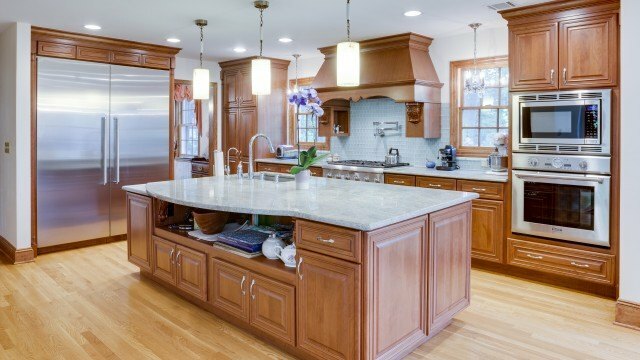 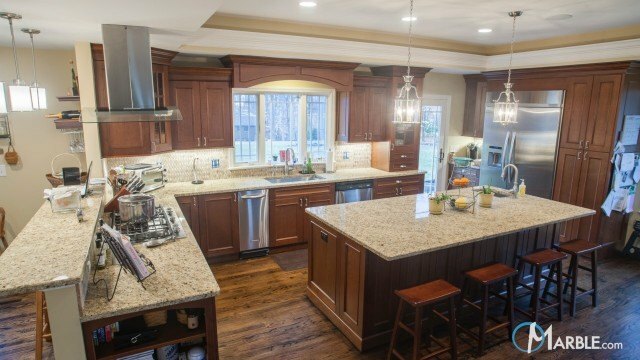 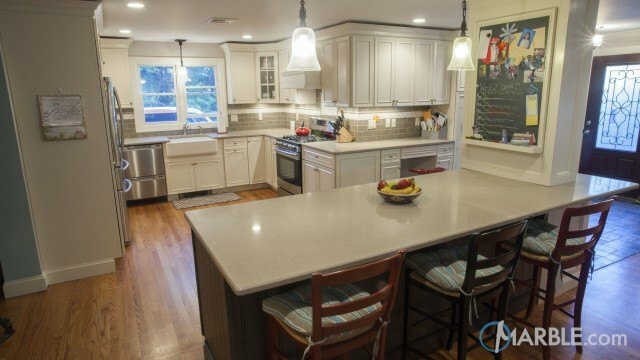 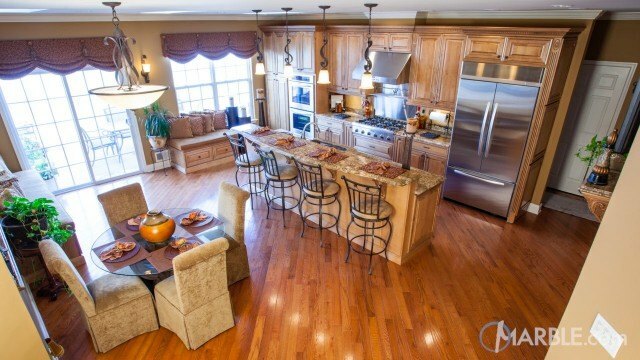 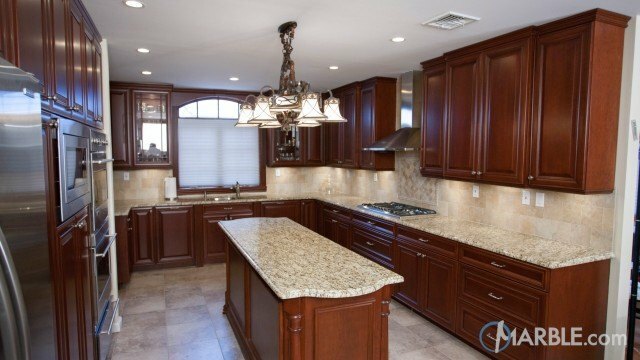 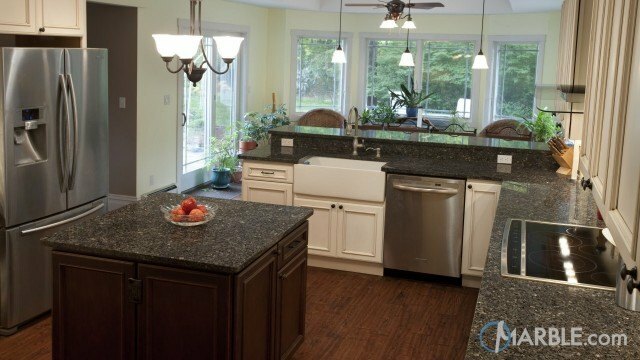 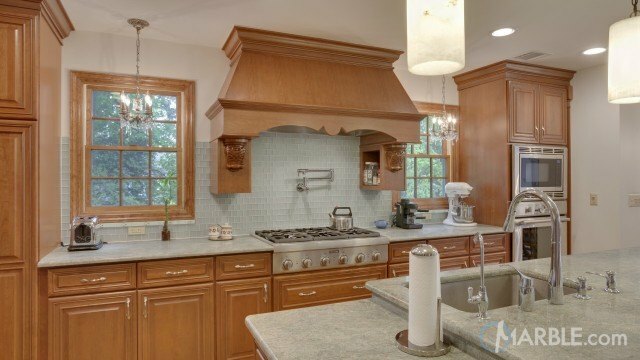 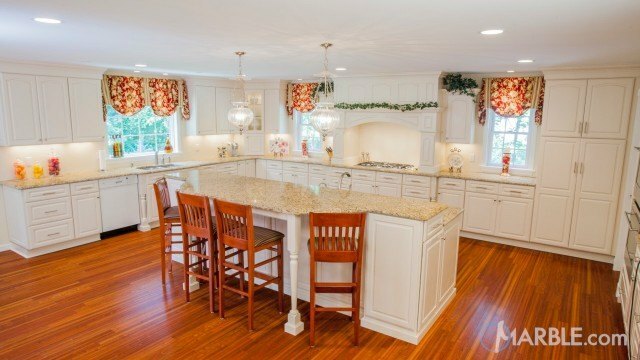 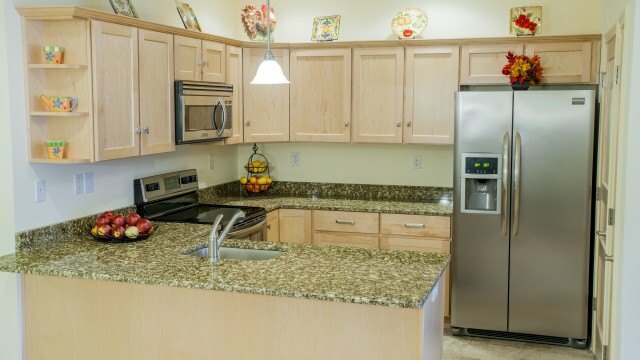 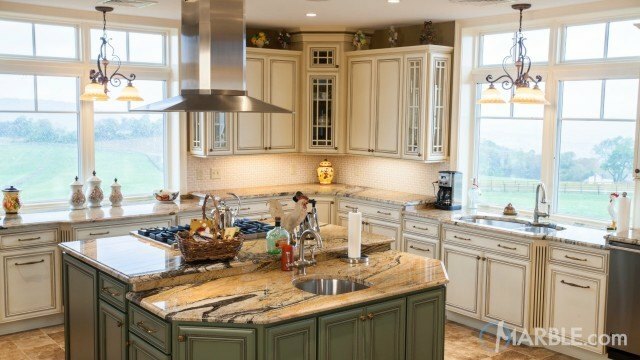 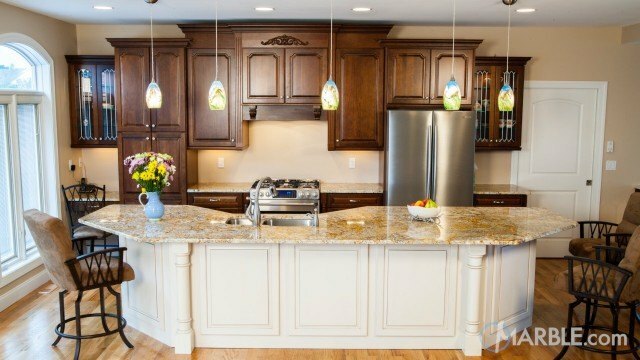 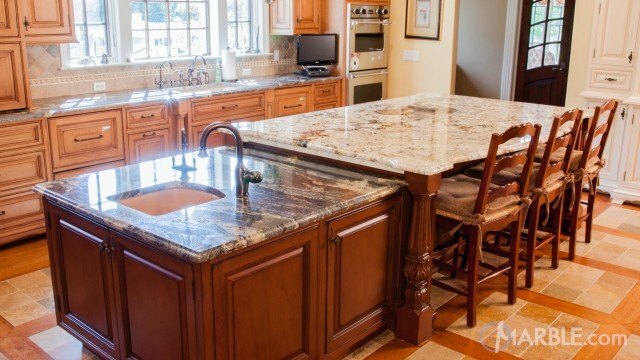 This bright kitchen features Tropical Brown granite counter tops with an Ogee Edge. 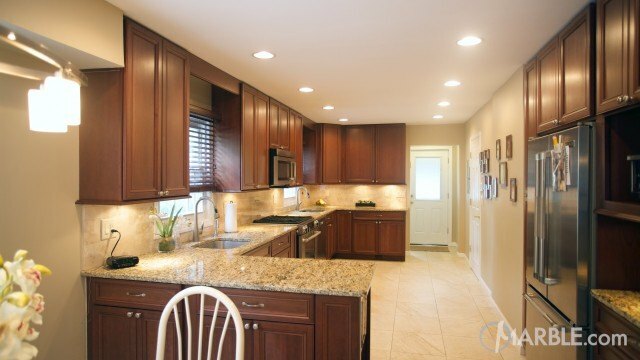 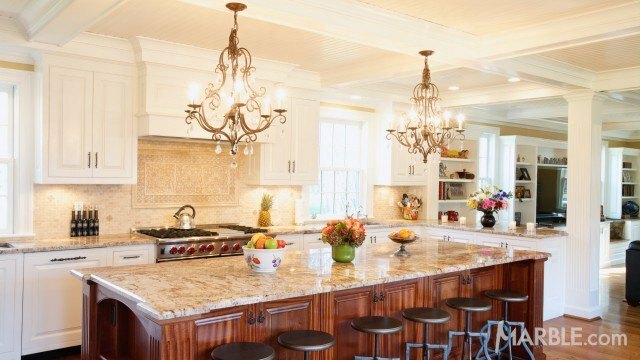 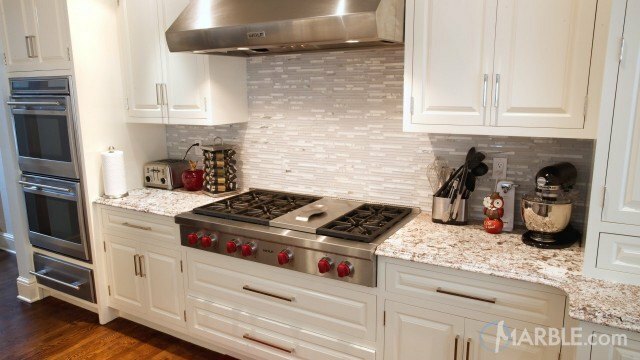 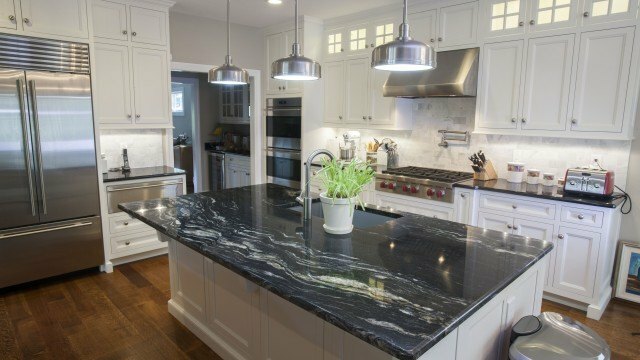 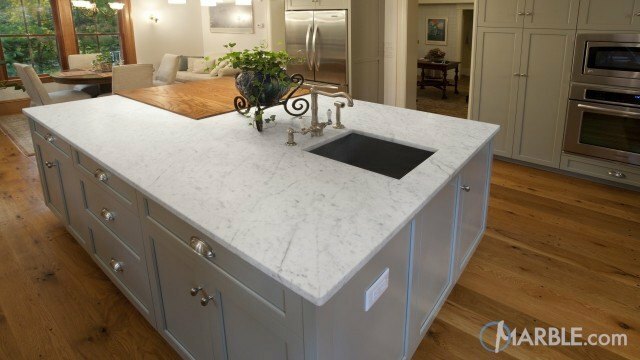 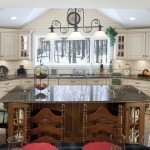 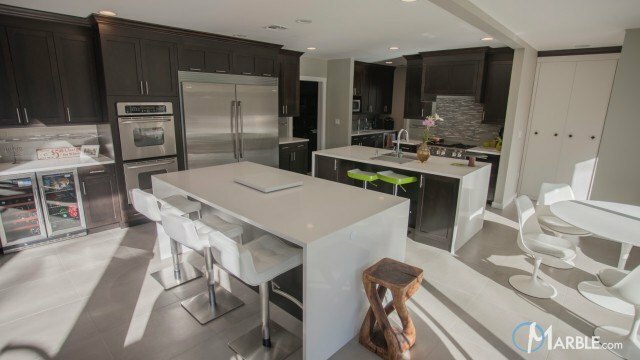 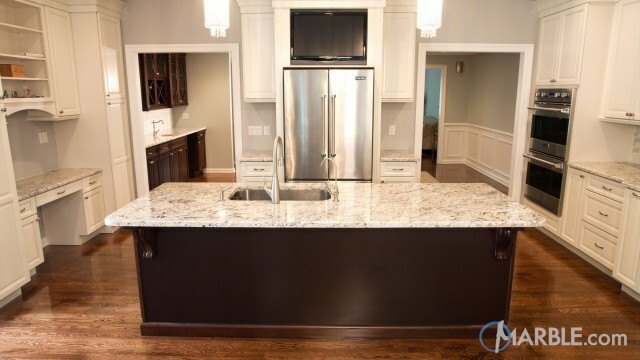 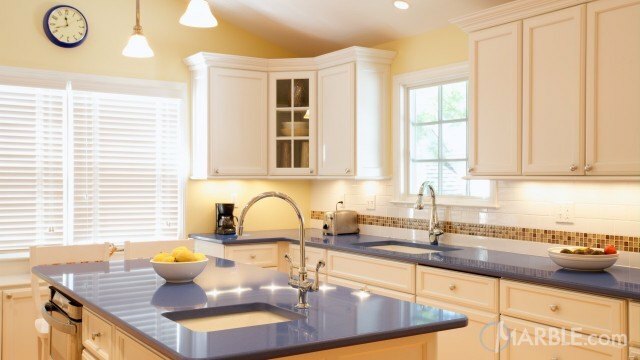 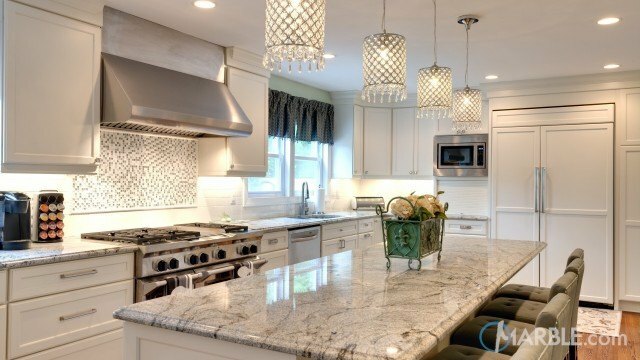 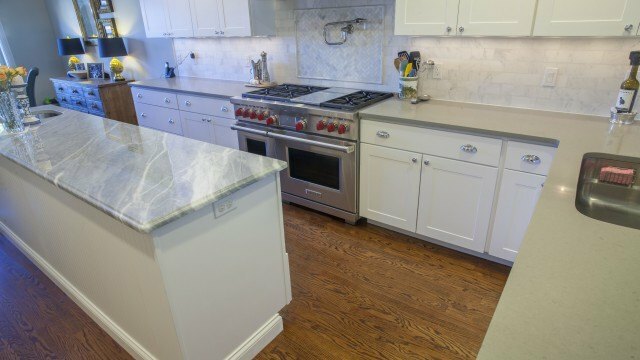 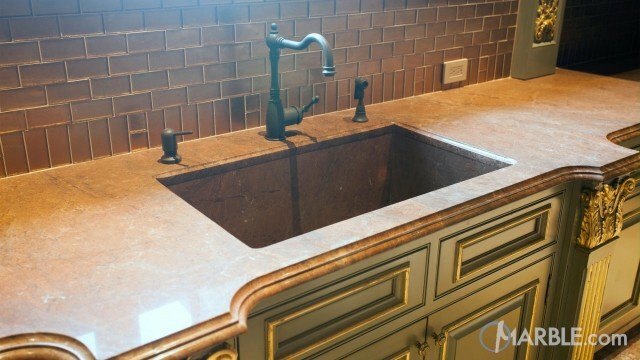 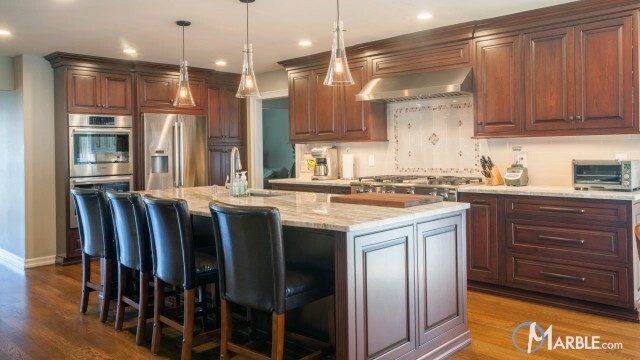 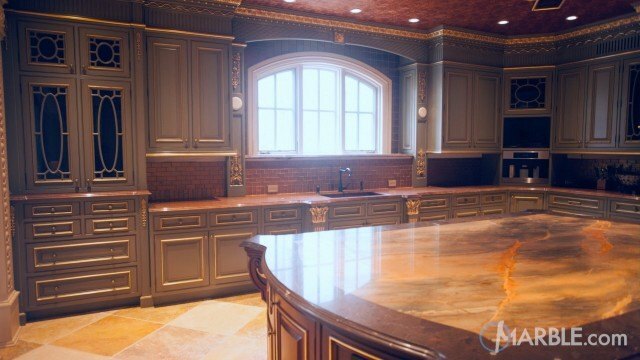 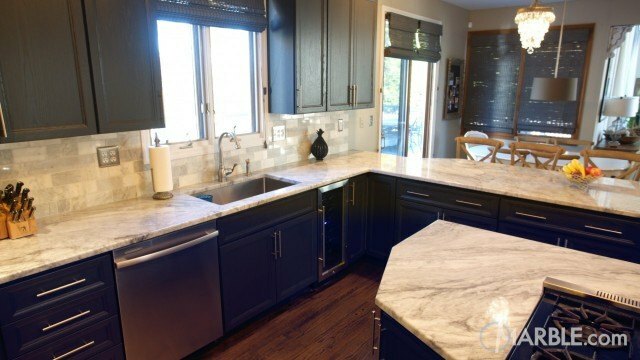 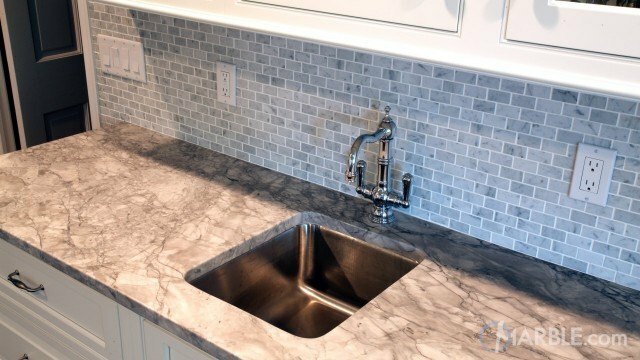 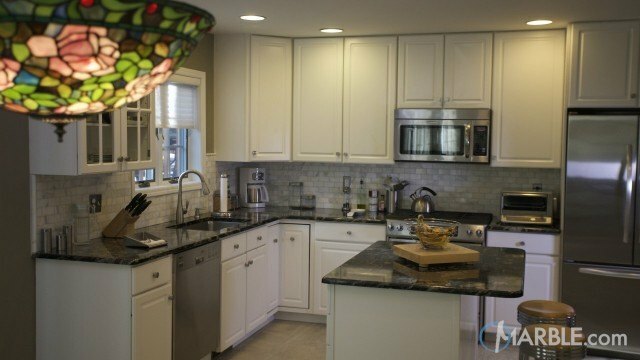 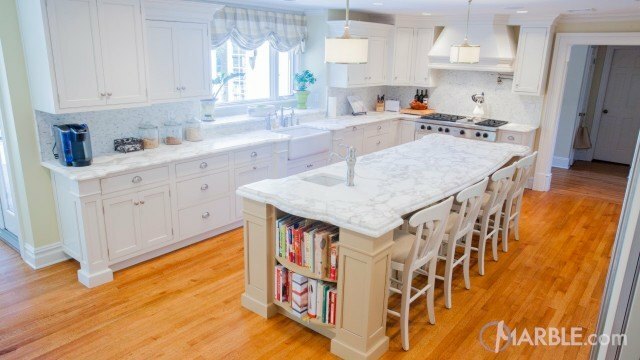 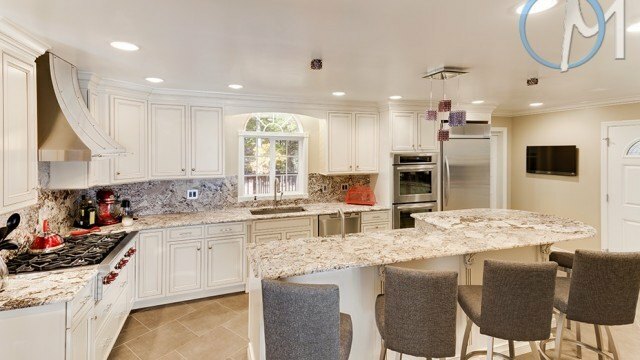 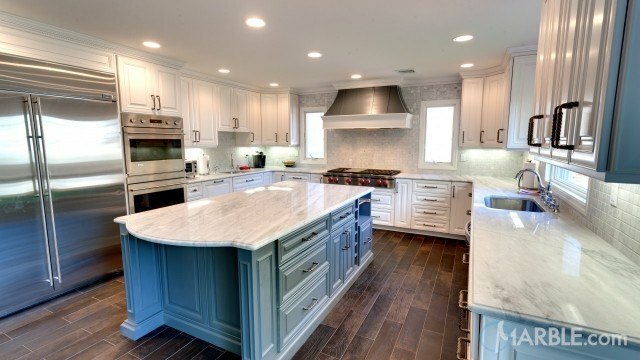 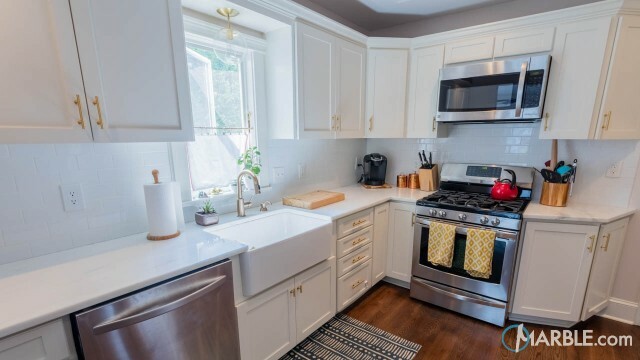 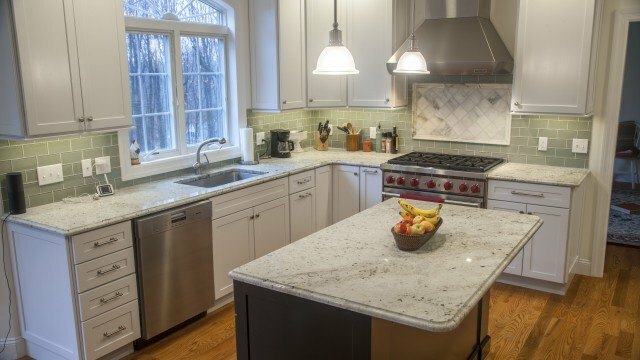 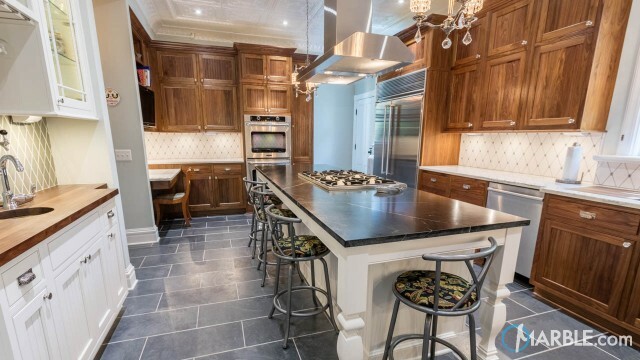 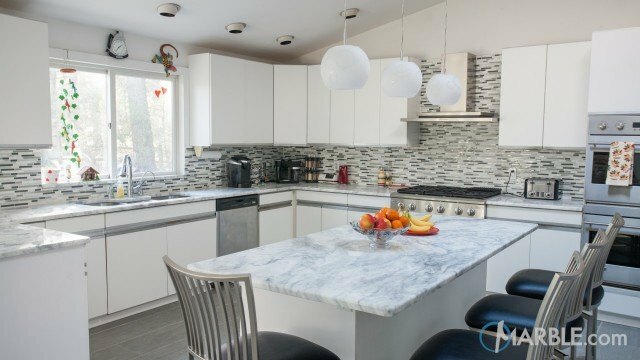 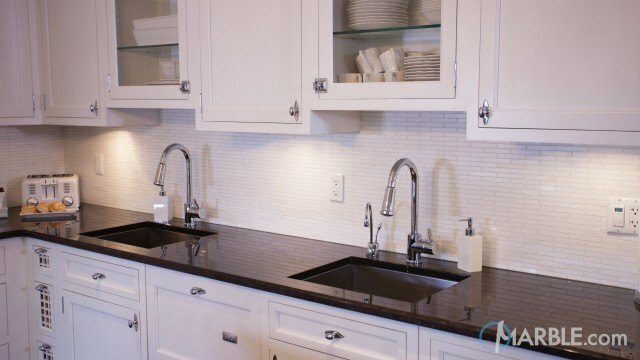 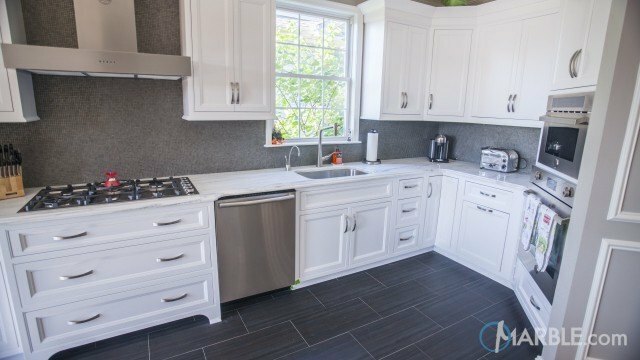 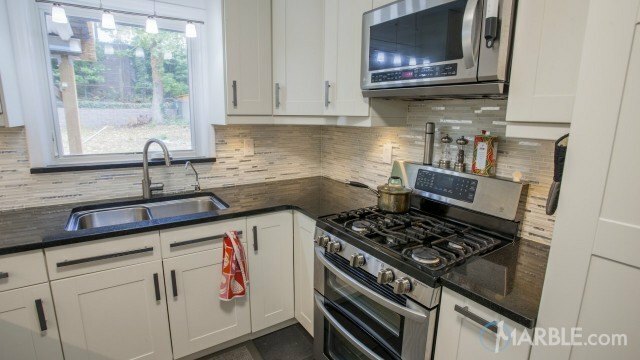 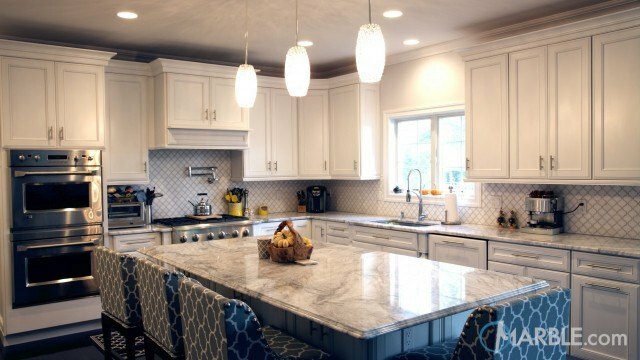 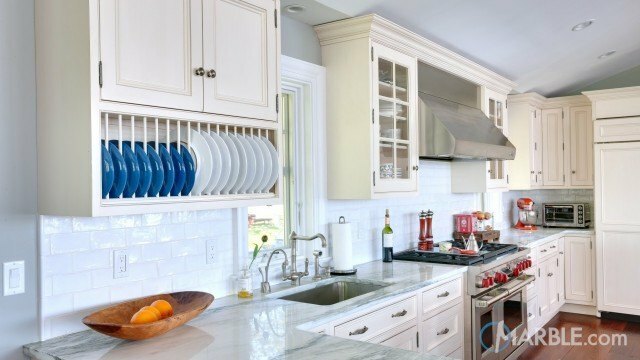 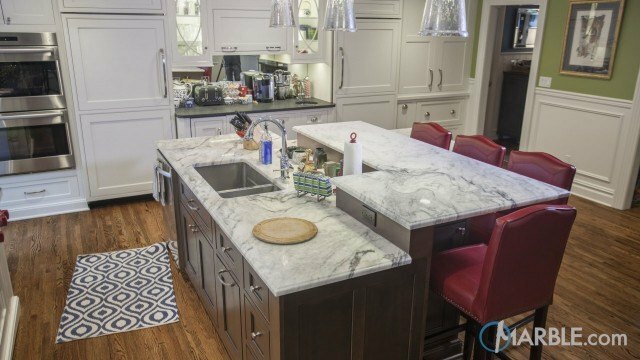 The light cabinets offset the darker counter tops for a traditional two-tone look. 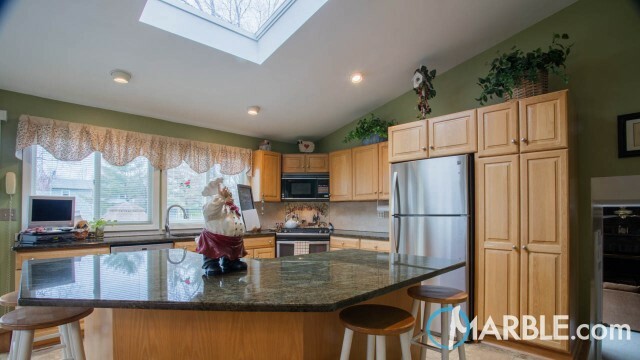 The angles of the room are accentuated by the vaulted ceiling and large floor tiles. 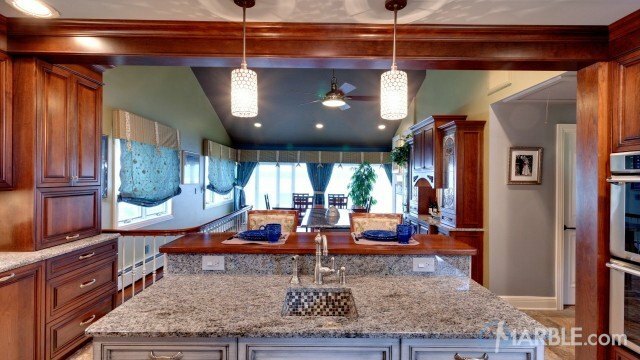 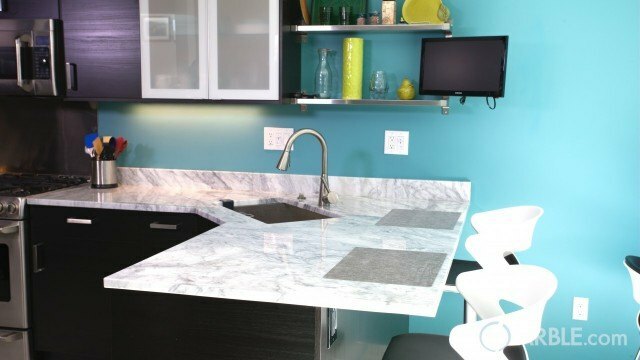 Teal accents around the island and near the sink add a pop of color and tie the classic room together.